Cannabis has potential to solve some of the most perplexing issues facing the world today. As one of the world’s most sustainable, resilient, renewable, healing and useful plant species available, Cannabis has capacity to cure disease, eradicate hunger, remediate toxic soil, end deforestation, replace fossil fuels and reverse climate change. Since prohibition began in the the 1930’s, cannabis has become one of the most controversial and misunderstood substances on earth. Raising awareness is key to dispelling myths, earning public acceptance, achieving social justice and ultimately reversing prohibition. That is our mission. We endeavor to empower readers to move beyond public misperception with fact-based content that as is entertaining and inspirational as it is credible and informative. While we support patient advocacy and the end of prohibition, we hold ourselves to the highest standards of journalistic integrity and will always make our readers’ best interests our number one priority. Some of the earliest evidence of cannabis used for medicinal purposes can be traced back more than 4,000 years, long before recorded history. In the Netherlands, a grave estimated to predate the late Neolithic period between 2200 and 2500 BC was found to contained large amounts of cannabis pollen mixed with small amounts of meadowsweet, an ancient remedy used to reduce fever, suggesting the grave belonged to someone who died of a serious illness. In 2008, the famed cannabis researcher Dr. Ethan Russo led a team of forensic scientists analyzing the phytochemicals and genetics of plant substances taken from a 2,700-year-old grave of a shaman in Central Asia. Through various methods, the scientists were able to ascertain that the samples were from multiple different cultivars with similar concentrations of THC, indicating they had been methodically cultivated for their medicinal properties. Cannabis has been listed as one of the “50 Fundamental Herbs” used in Traditional Chinese Medicine since the discipline began. The earliest Chinese pharmacopeia, written in the first century, describes the medicinal properties of cannabis, or Ma as it was then known then, describing its use as anesthesia during surgery and treating a wide range of common ailments including pain, hair loss, nervous disorders, toxicity, scorpion stings, post-partum depression, digestive tract problems and parasites, including tape worms, just to name a handful of uses. In the practice of what eventually became known as “Western Medicine,” cannabis wasn’t as commonly prescribed by doctors until the 18thCentury and it wasn’t added to the U.S. Pharmacopeia until the 1850s. By the time it was removed from the U.S. Pharmacopeia in 1942, approximately 240 drug producers had made more than 2000 cannabis tinctures and compounds commonly prescribed to treat hundreds of medical conditions. As modern pharmaceutical drugs were introduced to replace cannabis, many of those formulations were lost to history, which is sad considering that hundreds of thousands of lives have been lost to dangerous synthetic drugs that are often toxic to systems in the human body. That’s not to say that all pharmaceuticals are bad. Some are vitally important for curing acute conditions. But new scientific evidence supports the legitimate use of cannabis for treating conditions, which never needed such harsh drugs comes. As our guest, Jimmy Carberry explains, the wisdom we glean by studying the composition of ancient cannabis remedies unearthed by archeologists may provide modern formulators with a blueprint to guide the development of new cannabis cures and inform the future of medicine. James Carberry is acannabis advocate, formulation expert, educator and glaucoma patient who discovered that cannabis was the only remedy to save his eye sight more than 30 years ago. In the late 1990s, he helped to open the first legal dispensaries in California and created the concept of medical style dispensaries to better serve patients and address their medical needs. Since then, he has trained over 350 people to be professional dispensary technicians and shared his vast knowledge about the many formulations and remedies derived from the cannabis plant. Today, as co-founder and CEO of Undoo, he holds the patent for a revolutionary treatment to reverse the intense euphoria of marijuana. His vast knowledge of ways in which cannabinoids affect the human body guides his development of cannabis tincture formulations to address some of the most insidious infections like e-coli and other conditions that are resistant to or made worse by prescription drugs. If not for the generosity of our supporters, we wouldn’t be here! We’d first like to express gratitude for our radio sponsors, Sunstate Technologies and Cannasphere Biotech. We are grateful! Many thanks go to Erik Godal for our theme “Evergreen” and Dr. Bryan Doner for the Medical Marijuana Minute. We’d also like to shout out to XRQK Radio Network and Society Bytes Radio Network for broadcasting our show as well as Compassionate Certification Centers and Cannabis Radio for helping us spread the word online. Image courtesy of Wikimedia CC License. The post New Wisdom about Ancient Cannabis Informs The Future of Medicine appeared first on The Cannabis Reporter. In an emerging industry mired in legal ambiguities and regulatory constraints, Cannabis entrepreneurs have managed to overcome their unique challenges by adopting innovative best practices and creating sustainable solutions that could benefit every other sector of industry and society at large. At no time in history have these innovations been more necessary than they are now. Despite the prevalence of climate denial in our political discourse, most credible scientists warn that we are on the precipice of catastrophic environmental changes unless take dramatic action to reduce our carbon footprint now. Enduring the extreme climate events will be the least of our worries if we don’t. Food and water scarcity will pose even greater threats. The irony is that unsustainable agricultural practices are among the leading contributors to the greenhouse effect responsible for climate change that will eventually lead to untenable growing conditions. The overuse of highly-toxic pesticides, fertilizers and herbicides not only emit vast amounts of carbon, the toxic runoff seeps into our precious water sources. Hemp offers one solution as a replacement for unsustainable industrial crops grown for biofuel and other non-food uses since it can be grown organically without the toxic chemicals. But what about all of the other food crops that use large swaths of irrigated land and rely heavily on toxic chemicals to grow? As mentioned at the top of the show last week, innovation is often born out of necessity. 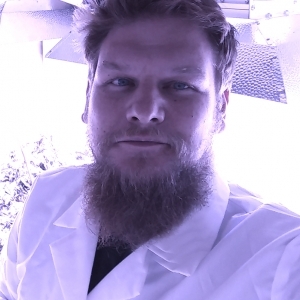 In case you missed it, Marco Hegyi explained how cannabis cultivators operating within limited confines of indoor agricultural facilities have learned minimize water waste and eliminate the need for toxic chemicals by using hydroponic systems. While these green systems have proven to be far more sustainable, the environmental benefits of these indoor cultivation methods are too often negated by the amount of energy required to grow cannabis indoors. We’re talking thousands of watts of high-intensity lights and the industrial strength HVAC systems running at full bore to control the heat they generated. But, necessity is the mother of innovation and today, indoor cultivators have deployed broad spectrum LED lights to solve the problem. Not only to these light systems significantly reduce energy usage, they can vastly increase capacity by enabling vertical stacking in a way that would have been cost-prohibitive and environmentally inhospitable with earlier technology. The beauty of this technology is that it could be used to reduce the overall carbon footprint of food production. Imagine localizing food supply in vertical farms that conserve water, require minimal energy to maintain and eliminate the need for toxic chemicals. If the cannabis industry made it work, why not apply it to other fresh foods? Could this technology help to increase food production capacity in regions of the world where drought and toxic or depleted soil limits agriculture? That’s the topic of today’s show and our guest, Andrew Myers, has answers. Andrew Myers, co-founder and CEO of ProGrowTech, recognized the immense, untapped potential of LED technology as a gamechanger in agricultural use, especially as the demand for quality harvests increased within an energy-conscious climate. In what would become a pioneering opportunity for advanced LED lighting solutions, he and his team have developed efficient and uniform agricultural LED lighting for indoor growing all types of crops to help growers increase profitability, yield and energy efficiency. In 2018, he was recognized as one of Greenhouse Product News’s 40 Under 40. Prior to founding ProGrowTech, Andrew’s career spanned state and national political scenes more than 14 years. He was a political aid to many prominent policy makers, including former President Barack Obama and former Secretary of Homeland Security Janet Napolitano. to many prominent policy makers, including former President Barack Obama and former Secretary of Homeland Security Janet Napolitano. As one of the authors of the 2010 Arizona Medical Marijuana Act, he served as campaign manager and chief spokesperson for Proposition 203, the successful effort to make medical marijuana legal in Arizona. Following the campaign, he co-founded the Arizona Medical Marijuana Association, a 501(c)6 organization for licensed medical marijuana dispensaries and worked closely with the Arizona Department of Health Services to create the rules package that accompanied the AMMA. 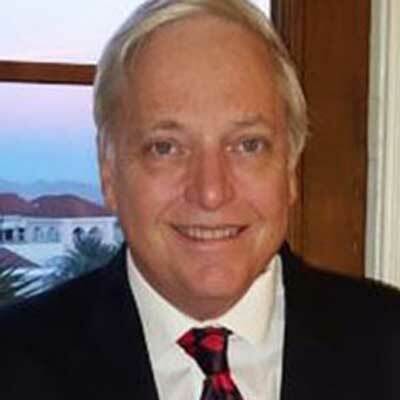 He also served as the Executive Director of the Arizona Dispensaries Association. If not for the generosity of our supporters, we wouldn’t be here! We’d first like to express gratitude for our radio sponsors, Sunstate Technologies, C2 | ICS Integrated Compliance Solutions, First Direct Financial, Honor Enterprise Fund and Cannasphere Biotech. We are grateful! Many thanks go to Erik Godal for our theme “Evergreen” and Dr. Bryan Doner for the Medical Marijuana Minute. We’d also like to shout out to XRQK Radio Network and Society Bytes Radio Network for broadcasting our show as well as Compassionate Certification Centers and Cannabis Radio for helping us spread the word online. The post LED Innovator Sheds Light On Solutions to End Global Hunger appeared first on The Cannabis Reporter. They say that the best innovations are born from necessity, which explains why cannabis cultivators are so ahead of the curve when it comes to finding profitable ways to grow their crops with highly effective organic methods. Unlike other agricultural sectors, cannabis producers have been subjected to rigorous regulations and purity standards – particularly for growing medicinal cannabis varieties. In order to comply and avert undue scrutiny of regulators, growers have had to find sustainable, cost efficient ways to control energy output, water consumption, moisture and pests without contaminating their plants. Ironically, the organic cultivation techniques they have adopted out of necessity have proven to be more effective and more profitable that conventional methods. It seems that holds true for other agricultural commodities and we caught up with Marco Hegyi to find out if the lessons learned by growers in the cannabis industry could be instructive for other farmers seeking to reduce their carbon footprint while also improving their yields and profits. Marco brings extensive technology experience and a history of growing operations. 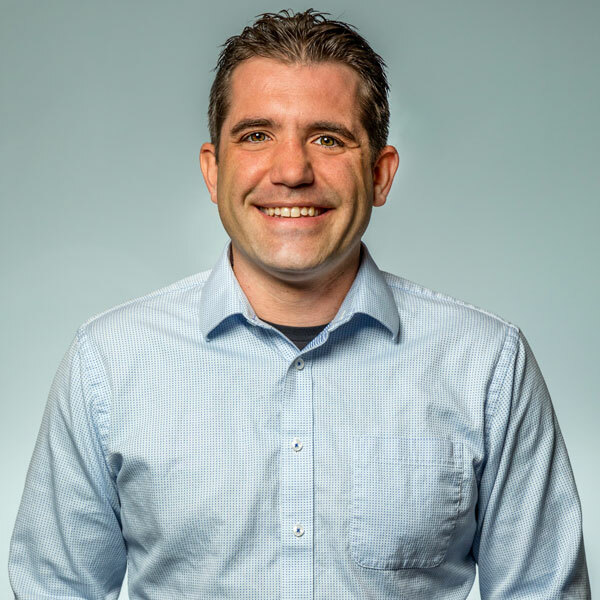 He has performed several executive roles including President & CEO of private and public companies, vice-president of sales and marketing, senior director of product management, and began as a systems and real-time software engineer. He has led early-stage companies, grown small to mid-size technology companies, and set industry standards at market-leading corporations. Also, he has managed global programs and initiatives at Microsoft and Yahoo, and inventor of several patents. He is now leading a publicly traded company Grow Life, which provides tools, supplies and solutions for growers in the cannabis cultivation industry. The post How Green Growing Methods Help Cannabis Cultivators Succeed appeared first on The Cannabis Reporter. We have spent a lot of time lamenting about the absurdity of the FDA’s hardline position about CBD ever since Congress passed the landmark hemp legislation in the 2018 farm bill. Despite the authors’ concise language that clearly legalizes hemp and all of its natural derivatives, the FDA seems to have its own interpretation about the legal disposition of one of hemp’s molecular nutrients, cannabidiol (CBD). For whatever reason, the agency is intent on strong-arming the industry into compliance with its arbitrary new rules and enforcing its self-administered policy, which it has no legal grounds for enforcing. Suffice it to say, their scare tactics have had a chilling effect and created a great deal of confusion about what’s legal and what’s not – throughout the entire industry. And that’s a shame considering that the farm bill authors sought to end the confusion caused by a series of regulatory twists and turns starting with the DEA’s move to assign a code for CBD in Schedule 1 to differentiate it from marijuana in the Controlled Substances Act. Despite the looming threats on the part of the FDA, the CBD industry continues its unprecedented upward trajectory with sales already pushing a billion dollars and credible estimations that the industry will top $25 Billion in the next decade. While those threats have failed to significantly slow the industry’s progress as of yet, the agency has already begun mongering fear with its recent barrage of cease and desist notices to industry stakeholders and several coordinated inter-agency raids confiscate CBD products from legal points of sale for no legitimate reason. And then, of course, there are ongoing exercises of futility in states where local law enforcement authorities are blatantly disregarding new federal hemp law, most likely out of sheer ignorance. Take for example, the 7000 pounds of hemp confiscated by highway patrol officers in Idaho on its way from a farm in Oregon to a processing facility in Colorado. The driver of the precious cargo just happened to be in the wrong place at the wrong time and now faces felony drug trafficking charges with a mandatory minimum of five years in prison. According to the arresting authorities, the driver violated state law where any traces of THC are deemed to be illicit narcotic substances and possession of any amount is a felony offense, despite the fact that hemp, including its trace content of THC, is now a federally-legal commodity. While ignorance on the part of state troopers in one of the last existing states to refuse to implement any form of marijuana law policy reform might be excusable, there is no excuse for the FDA to blatantly disregard the will of Congressional lawmakers, and the will of the people they represent. While it may seem like an abuse of power for the FDA to threaten an industry that was fully legitimized by Congress, the truth remains that the 2018 Agricultural Improvement Act handed oversight of CBD substances to the FDA – a move that should have been preferable to keeping it in the hands of the DEA. But considering that the DEA didn’t waste its time enforcing CBD violations, the FDA is now create more points of ambiguity in the law, which has been a source of frustration for those of us who need to understand what’s legal, particularly since it appears most governmental agencies like the FDA are approaching regulation from a point of ignorance, if not deception. Whatever the reason, we were eager to get some answers. And for that, there’s no one more qualified than our guest, a senior partner at Hoban Law Group, Garrett Graff to help us get to the bottom line of the law. 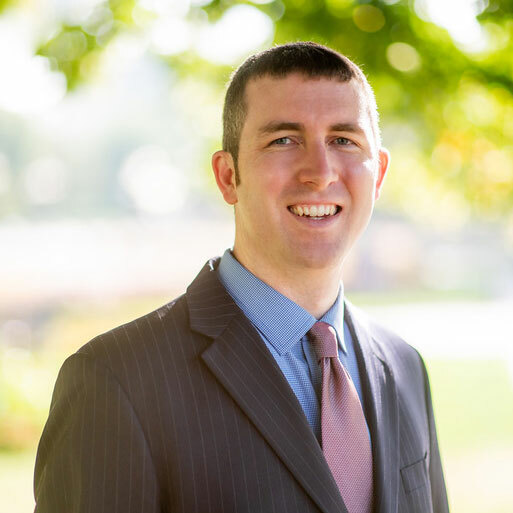 Garrett Graff specializes in all aspects of cannabis law as a Senior Attorney at Hoban Law Group, a firm that the National Law Journal named as a Cannabis Law Trailblazer. He represents clients from both the marijuana and industrial hemp industries in corporate transactional matters as well as civil and commercial litigation cases pertaining to regulatory issues, FDA compliance and other matters including import/export, cultivation, processing and manufacturing, distribution, business establishment and dispute resolution, to name a few. He also frequently works with federal, state and local authorities on policy and enforcement matters. Perhaps most noteworthy is Garrett’s role representing hemp industry stakeholders against the before the Ninth Circuit Court of Appeals, in a case that confirmed that hemp-related provisions of the 2014 Farm Bill would pre-empt DEA authority and the Controlled Substances Act. He also navigating legislative and regulatory frameworks such as FDA regulation FDA compliance with federal, state and local authorities on policy and enforcement matters. The post Why FDA Threats Won’t Sink the Billion Dollar CBD Industry appeared first on The Cannabis Reporter. If you’ve ever started a business, you know how time consuming and exhausting it can be just to set it up. Before you can sell anything, you must raise funds, apply for the business license, establish bank accounts, find a location, acquire an Employer Identification Number, hire the staff, file for a business license to name a few. Once you open your doors, you’re then tasked with penetrating the market and finding customers. Under the best of circumstances, it takes time to turn a profit, which can seem endlessly frustrating. Having been there and done that, we can attest to the fact that starting a business is no picnic, even when everything goes as planned. But ask seasoned entrepreneurs about the challenges they encounter starting a company in the cannabis space and you’ll be convinced that starting a conventional business is a walk in the park by comparison. With every step, there are regulatory obstacles, legal barriers and political pitfalls that just don’t exist in other sectors. Banks, insurance companies and other federally-regulated institutions are barred from catering to cannabis companies under federal law. But many of the same entrepreneurs will tell you that the rewards of contributing to such a transformational emerging industry make those every-day challenges seem well worth the risk. But Darwin’s theory of survival of the fittest applies. Not everyone has the high level of stamina, persistence and unwavering passion required overcome the immense challenges. But those who do are rewarded with a foot in the door of a billion-dollar industry that is already transforming human health and paving the road toward a prosperous, sustainable future. But navigating the cannabis industry amid legal ambiguity and regulatory constraints no other industry has to face takes experience and knowledge. Fortunately, compliance expert Mark Denzin joined us to shine the headlights on our road ahead. Mark Denzin is a leading expert in regulatory compliance, capital funding and block chain resources serving the cannabis industry. 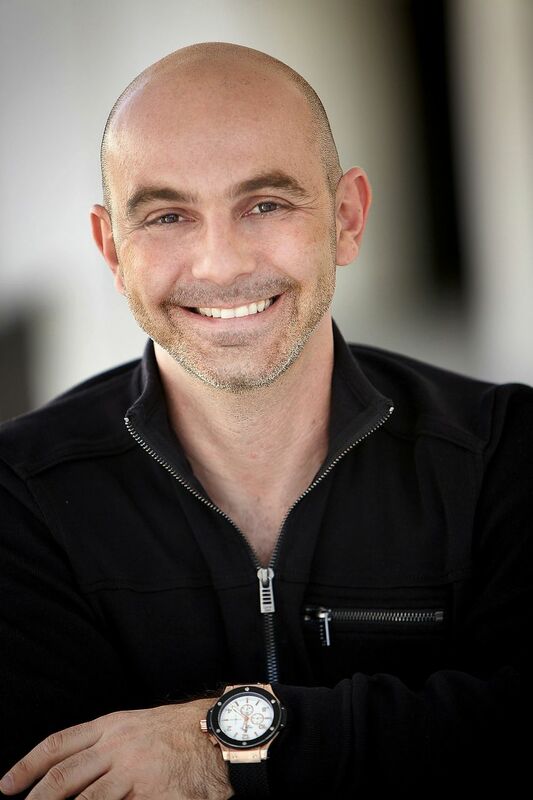 With more than two decades of experience in merger and acquisitions in the technology sector, he has held leadership positions for technology giants such Godaddy.com, Endurance International and Newtek Business Services. Mark and his team have created a propriety blockchain utility token called Instate Compliance Commodity Exchange, which provides the cannabis sector with banking and B2B transactions that are FinCEN and AML compliant. The post Rising Above Cannabis Compliance Pitfalls Without Going Under appeared first on The Cannabis Reporter. It’s been nearly three years since our very first episode with New York State Assemblyman, Dr. Stephen Katz, who was one of the sponsors of a bill to decriminalize marijuana in his state after having great success controlling his own grand mal seizures with cannabis. But it wasn’t just for himself that he fought to get cannabis out of the closet. He also happened to be a veterinarian, who was one of the first to develop a line of CBD products to help German shepherds who were suffering pain from hip dysplasia. As you can imagine, it took a while for him to convince his patients’ masters that it was okay to give a derivative of cannabis to canines. As it turns out, CBD is one of the very best remedies for dogs and cats for the same reasons it’s good for their masters. Like human kind, all mammals have an endogenous cannabinoid system, which means CBD will work to help them cope with problems like separation anxiety, neurosis, inflammation and pain, just like humans. But unlike humans, animals can’t voice their pain and they’ll go out of their way to hide it from you – perhaps because, instinctually, they realize that showing pain would make them vulnerable to prey. So, whenever you seen any outward sign of pain, you can be certain that an animal is really suffering, which also means you’ll see a drastic improvement when the pain goes away. It is especially noticeable with larger animals. Before I knew anything at all about cannabis, I was a documentarian for the Paw Project and spent several days a week filming and working with large, captive exotic species cats a large wildlife sanctuary in California. What was most astonishing is that nearly half of them appeared to be crippled. They would avoid walking on hard surfaces and appeared to cringe when they jumped down from any height. Some were so lame that they would test each step as if they were making sure the ground would hold them. What I learned was that most of them were retired animal actors who had been declawed, meaning an amputation of the last digit of each finger bone where the germinal nail tissue grows. Unfortunately, that also means that the tendons that enable a cat to retract its claws are also severed and, like rubber bands, they retreat into the forearms and take bits of severed bones with them. It only takes two years for the pain and inflammation to cripple a cat to the point it is no longer agile or responsiveness to perform, at which point they are retired to sanctuaries. What’s most sad is that it takes several more years before the pain is excruciating enough for anyone to notice. Fortunately, the Paw Project came up with a way to reattach the tendons to what’s left of the digits and remove the bone fragments so that the cats can regain the ability to walk without so much pain. During the 10 years I was volunteering there, we repaired the paws of roughly 60 tigers, lions, mountain lions and leopards. Each and every one of them could walk without so much pain almost immediately after. The film footage was proof we needed to convince the State legislature to enact a ban on declawing of big cats, but not until after a long hard battle. We weren’t able to convince lawmakers to pass a similar ban for domestic cats because we were head to head with the powerful lobbyists of the AVMA, which was more interested in protecting the profits of veterinarians. But, there were good Samaritans in the greater Los Angeles, San Diego and San Francisco areas that could be convinced. There are a several reasons this is relevant today. A.) I can’t help but feel that CBD would help them with the inflammation and only wish I would have known about it back then; B.) It is deeply rewarding to work with organizations that look out for the wellbeing of animals and humans who can’t defend themselves; C.) Like the cannabis activists who have fought to end prohibition, animal rights activists are often fighting ignorance of lawmakers as much as they are fighting the special interests who don’t realize or don’t care that the animals are suffering; and D.) All of the above are topics of today’s show I’ll be exploring with our guest Ian Quinn who happens to be conducting a research study on the efficacy of CBD for treating arthritis in mountain lions! He is here with his best friend Dante, a very handsome rescued pit bull. 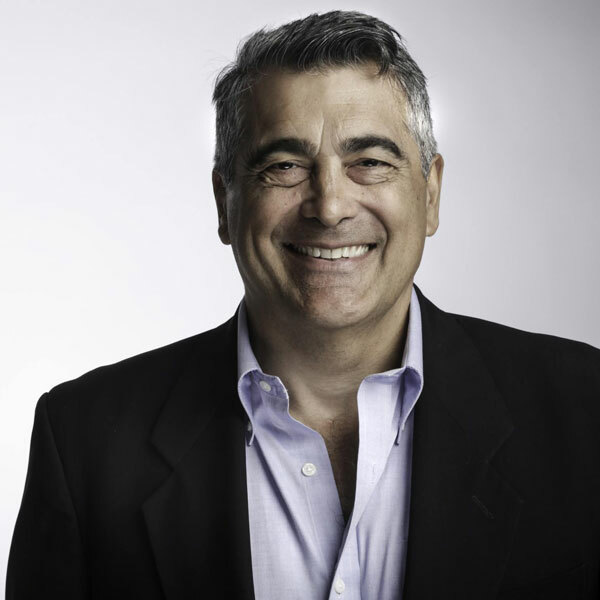 Ian Quinn is an educator, philanthropist, and entrepreneur with extensive experience leading global operations for organizations ranging from start-ups to Fortune 500 businesses. He has served as a founding member and VP of global e-Learning non-profit organization and CEO of leading B2B2C pet supplement manufacturer. 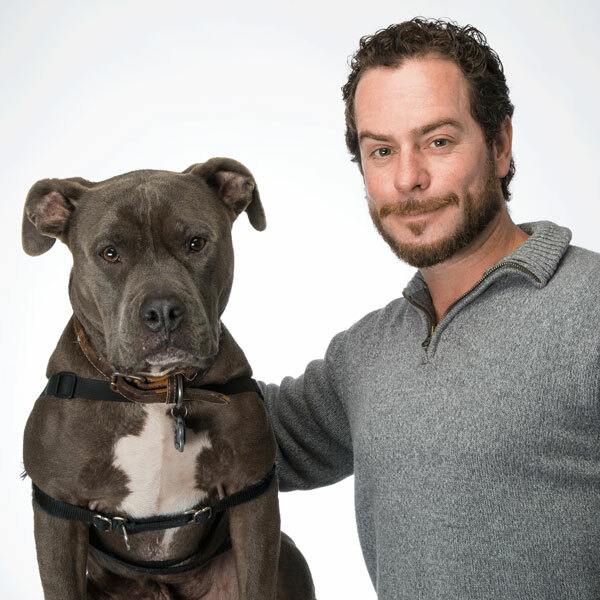 His journey as founder of Phyto Animal Health begins with Dante the Service Pit and his best friend Ian Quinn, CEO of Phyto Animal Health. The two pals volunteer at their local VA housing program, supporting veterans and teaching them meditation. It was there that Ian learned first-hand about the natural wellness properties of CBD. Looking to provide these same benefits to Dante, Ian consulted with leading veterinarians to create a line of CBD supplements specially formulated for pets. In 2017, Phyto Animal Health was established to encourage pet owners to take advantage of the benefits of CBD and hemp for their pet’s well-being. The post Why Kind People Say Healthy Pets Make a Happy Planet appeared first on The Cannabis Reporter. Over the last few weeks, we’ve been flooded with press releases from CBD companies applauding lawmakers for liberating hemp and announcing plans to ramp up production of new CBD products to meet the inevitable nationwide demand. That wouldn’t be out of the ordinary, except for the fact that the hemp measure didn’t legalize CBD. It did, however, de-schedule hemp and trace amounts of THC present in hemp biomass. It also moved appropriations allocated for enforcing CBD policy away from the DEA and turned oversight authority to the FDA instead. The transference of power from the Department of Justice to the FDA might have seemed like good news under normal circumstances. But if recent events are any indication, the move may have made matters worse for the CBD industry. The episode opening goes into detail, but suffice it to say, the FDA is already exerting its authority chasing the slightest infractions perpetrated by CBD companies from California to Maine and causing a lot of confusion. It also issued a warning, in no uncertain terms, only one CBD product is legal to sell in the U.S. outside of states that have legalized it. Since CBD was legal at the time most state measures were written, very few bothered to name it in their lists of exemptions from Schedule 1, which explains why CBD edibles are illegal in California, a pro-cannabis state that regulates cannabis for adult use – after stern reprimand from the FDA. While that shot across the bow in California is likely a harbinger of things to come, the warnings have fallen on deaf ears like the boy who cried wolf. Despite the ban, the CBD industry is still thriving and growing everywhere. What’s different now is that the FDA is no longer complaining in a vaccum since the farm bill gave them carte blanche to make policy and patrol the industry as the CBD police force. Unfortunately, CBD products will be held to the same level of scrutiny and required to conduct lengthy clinical trials similar to those required of opiates and other scheduled drugs. The cost alone could put an otherwise thriving CBD company out of business. The inability to move products as they had under the purview of the DEA, which simply looked the other way, could cripple the industry. That begs the question why enforce it now? Considering the well-documented health benefits of CBD, that Congress failed to de-schedule CBD along with hemp and THC defies logic. It also makes no sense that they would unwittingly (or intentionally) sabotage the fastest growing industry in the midst of a government shut down considering that CBD companies will likely produce billions of dollars in tax revenues over time if unimpeded. Scheduling CBD under the false pretext of separating in from Marijuana in anticipation of eventually descheduling it and for tracking convenience would seem a miscarriage of justice. Subjecting it to the same level of enforcement and scrutiny as lethal drugs like Fentanyl seems an abuse of power with ulterior motives to carry favor with special interests, perhaps Either way, that level of enforcement will amount to a colossal waste of time and money. And, for what? The irony here is the rigor at which the FDA is gunning to target the non-psychoactive plant molecule that has never killed anyone, has zero potential for abuse, and is so necessary for optimal health that maternal mammary glands naturally produce it in breast milk for babies, especially considering the agency continually lowers safety and efficacy standards for lethal pharmaceutical drugs. Some of the world’s most dangerous drugs are fast-tracked for approval with only minimal clinical study and no higher than a 30% efficacy rate required. In fact, on average, more than 30% of new drugs approved by the FDA are recalled due to adverse side-effects or high rate of morbidity. By contrast, the standards to which the FDA measures the safety and efficacy of legal pharmaceuticals pale by comparison to the standards to which the cannabis holds itself. Having endured more excessive scrutiny that most emerging industries as well as challenges of overcoming the generational stigma associated with illicit drugs, cannabis innovators have had jump through hoops to prove themselves. That’s not to say there aren’t some bad actors cutting corners for a profit. But, as a whole, the cannabis industry is proving itself to be one of the most socially responsible, conscientious and innovative self-regulating industries of all time. This is evident in the scientific community that informs medical practitioners in the absence of information about cannabis in the U.S. pharmacopeia. Using modern diagnostic technology, medical practitioners can rely upon DNA sequencing and genome mapping to more efficiently diagnose patients based on specific genetic markers, metabolic rate, molecular deficiencies and other factors that are difficult to detect with conventional tools. These data can then be compared with DNA sequencing of a variety of cultivars to match cannabinoid and terpene profiles associated with endocannabinoid receptors to drill down on personalized cannabis therapy formulas specifically targeted treat a patient’s unique medical conditions and mitigate risk markers to prevent disease and support immune function, neurological development and overall homeostasis for optimal health. These modern methods over-achieve any over-kill regulations imposed by the FDA’s over-reach and could someday make their arcane, ineffective and costly methods obsolete. DNA sequencing expert, Len May joins us to talk about the exciting field of cannabis medicine. With over 25 years of experience, Len May, MCS is a pioneer in the medical cannabis industry having held positions such as the President of the Cannabis Action Network, Board Member and Lifetime Member of California Cannabis Association​, as well as a stakeholder in some of the industry’s most iconic brands. His experience also encompasses a strong understanding of branding and compliance, fundraising, and operations. As a Certified Medical Cannabis Specialist in Medicinal Genomics, May has an in-depth knowledge of genomics, cannabinoids and terpenes and their interaction with the endocannabinoid system, allowing him to consult on formulations targeted to treat specific conditions. May has a Masters of Medical Cannabis and Endocannabinoid Formulation Specialist Certification from the Institute for the Advancement of Integrative Medicine. His areas of expertise include the workings of the ​Endocannabinoid system and how genetic expression plays a role in human experiences. In his role as CEO of Endocanna Health, he uses his knowledge of the plant to help modulate those experiences for those looking to incorporate Cannabis into their lives. Mr. May is an accomplished public speaker having presented on these topics on some of the world’s most prestigious stages in his mission to help educate the population about the healing powers of cannabis. If not for the generosity of our supporters, we wouldn’t be here! We’d first like to express gratitude for our radio sponsors, Sunstate Technologies, C2 | ICS Integrated Compliance Solutions and Cannasphere Biotech. We are grateful! Many thanks go to Erik Godal for our theme “Evergreen” and Dr. Bryan Doner for the Medical Marijuana Minute. We’d also like to shout out to XRQK Radio Network and Society Bytes Radio Network for broadcasting our show as well as Compassionate Certification Centers and Cannabis Radio for helping us spread the word online. The post DNA Sequencing Over-Achieves FDA’s CBD Regs appeared first on The Cannabis Reporter. On the heels of one of the cannabis industries most major accomplishments, legalization of agricultural hemp, the FDA managed to kill the buzz with its public notice that CBD, including hemp derived CBD would remain a Schedule one controlled substance under federal law. A few days later, several law enforcement officers from the Alcohol, Tobacco and Fire Arms accompanied FDA officials who raided an Arizona retail outlet without warning and without a warrant to confiscate CBD-infused chocolate bars and other edibles made by Hempful Farms. According to local media reports, the reason was that packaging failed to label the products as pet food with a caveat that if consumed by a human there is no concern. The store owner told one reporter that the officers said the FDA is making their own regulations for hemp and CBD is not intended for human consumption. Considering that chocolate can be lethal for canines, their reasoning seems absurd but typical of the kind of mind-bending absurdity the cannabis industry has been up against since the movement to reverse prohibition began. Insiders can see through the public facing excuse. The truth is that Hempful Farms’ owner, Chris Martin, who served two years in prison after being thrown under the bus by an estranged partner who botched compliance in another cannabis edibles business. Suffice it to say, this incident was a harbinger of more arrests and regulatory red tape to come as regulations change. We’ll have more to report about this in the coming days but it’s worth noting the irony that the FDA is now targeting CBD derived from imported hemp considering that it had been legal to buy and sell anywhere in the U.S. since 2014. That changed when during the transition of the new administration at end of 2016, the DEA made an arbitrary if not nefarious decision to assign CBD its own code in Schedule One. If you think scheduling a then-legal non-psychoactive molecule extracted from a legally-imported plant in the same drug class as heroin and LSD is a ridiculous exercise in futility, you aren’t alone. After all, the CBD market is already a billion dollar industry and legalized hemp has potential to revitalize agricultural communities, create new jobs and mitigate problems caused by our over-consumption of synthetic pharmaceuticals, fossil fuels and forest resources. But when you consider the fact that legalizing cannabis has potential to threaten the bottom lines of corporate campaign donors with competing commodities, it’s no surprise. It’s just one example of many recent policy changes born from ongoing political pressure to prevent legalization. What is surprising is how the industry has managed to thrive in the face legal obstacles that no other emerging industries have ever had to face. One exception, of course, would be the alcohol industry which suffered nationwide prohibition for a little more than a decade. When prohibition was repealed in 1933, the alcohol industry resumed business as usual with no interference from the federal government and only a handful of restrictions imposed at the state level, many of which still exist today. Most people welcomed a renewed freedom to enjoy a glass of champagne as they celebrated the end of bootleg crime. By contrast cannabis prohibition has already ensued for more than eighty years and the dogged stigma associated with it has been hard to break. Nearly every measure to relax policy has been met with new regulatory constraints intended to do nothing more than thwart the progress. But if there is a silver lining, it is born from necessity. The injustice of prohibition galvanized the movement of activists fighting for meaningful policy change. Constantly being subjected to relentless legal challenges has a way of bringing would-be competitors together. Unlike competitors in most other industries, cannabis entrepreneurs have learned there is strength in numbers and everyone benefits when they join forces and share resources to support one another. It’s that sense of community “we’re all in this together” that has enabled the industry to not only survive arcane policy barriers but also thrive against the odds. That’s the topic of today’s show and something our guest, Nick Sandberg, knows a lot about. Nick Sandberg has been around the cannabis business for nearly two decades. He discovered the healing power of medical cannabis at the age of 17 after a serious back injury. Learning to cultivate medicinal plants was a matter of necessity. As an activist with NORML, helped organize the Chicago Global Marijuana March and Chicago Hempfest. He later became a licensed caregiver and has helped treat conditions such as MS, epilepsy, cancer and every condition in between. As a cannabis cultivator running his own farm, he has worked with medical marijuana dispensaries to ensure adequate supply of safe medicine and his team won the coveted Errl Cup competition in the best flower grown by an individual patient/caregiver category. Often tapped to serve as a consultant, Nick is experienced in designing and retrofitting warehouses for multiple cultivation sites. He has also worked with several large agricultural companies unassociated with the cannabis industry, guiding their design and implementation to ensure best cultivation and IPM practices. Currently serving as the Community Manager for Growers Network, Nick has been helping to build the world’s first online community of fully-vetted cannabis professionals. If not for the generosity of our supporters, we wouldn’t be here! We’d first like to express gratitude for our radio sponsors Healthtera and Cannasphere Biotech. We are grateful! Many thanks go to Erik Godal for our theme “Evergreen” and Dr. Bryan Doner for the Medical Marijuana Minute. We’d also like to shout out to XRQK Radio Network and Society Bytes Radio Network for broadcasting our show as well as Compassionate Certification Centers and Cannabis Radio for helping us spread the word online. The post How Cannabis Unites Would-Be Competitors appeared first on The Cannabis Reporter. Established pharmaceutical companies are rarely denied FDA approval if they can prove a drug’s efficacy with sufficient scientific data. Despite the rising number of drug fatalities, even some of the world’s most dangerous conventional drugs have sailed through the bureaucratic process with little to no governmental oversight or accountability. By comparison, only one whole-plant cannabis drug has ever received FDA approval despite the fact that cannabis is far less dangerous than most commonly prescribed drugs. Even in regulation states, medicinal cannabis producers jump through hoops no conventional pharma companies are subjected to. And, the cannabis industry is mired in bureaucracy, hamstrung by regulatory constraints and constantly subjected to undue scrutiny of governmental authorities and elected officials caving to pressure by anti-marijuana lobbies. Ask skeptical lawmakers why they refuse to remove it from Schedule 1 and you’ll likely hear them say it’s because we need more scientific studies to ensure it poses no public health risks. When you remind them that clinical studies were banned in the U.S. because cannabis is a Schedule 1 Controlled Substance, or that more than 20,000 cannabis-related studies by reputable scientists are already catalogued at the National Institute of Health, you’ll likely get a blank stare. Such is the cannabis conundrum. Despite their ongoing denial, cannabis saves lives. While our nation’s criminal code deems cannabis to have no medical value and high potential for abuse, scientists and medical practitioners are realizing that cannabis deficiency is actually dangerous to human health. And yet, ever since cannabis was removed from the U.S. Pharmacopeia, it lost its legitimacy as a viable medicine. American research institutions were barred from studying it and doctors licensed by the DEA were barred from prescribing it. Decades after it became a Schedule 1 controlled substance, no amount of credible evidence could reverse the stigma within the medical community. Doctors rely upon scientific data, but when it’s not sanctioned by the federal government, it’s not data they’d trust. Public perception has slowly shifted to the point that even the most skeptical doctors and researchers are taking notice. But, even though state legalization measures have opened doors for research here in the U.S., the fact that cannabis is still prohibited at the federal level means extraordinary restrictions and unyielding barriers that deter academic institutions from risking their federal funding or reputations to study it. That’s where advocacy becomes so important. The value of recognizable public figures who advocate for cannabis can’t be overestimated. Without their prominent voices, public acceptance might still be under water. No one understands this better than Montel Williams who has been a champion activist for cannabis law reform since the late 1990s. In this, our 100th Episode, Montel joins Cannabis Science Conference founder Josh Crossney to talk about the convergence of cannabis activism and science and ways in which advocacy has opened doors to research. The interview begins at the 4:00 minute mark, right after Dr. Bryan Doner’s Medical Marijuana Minute. 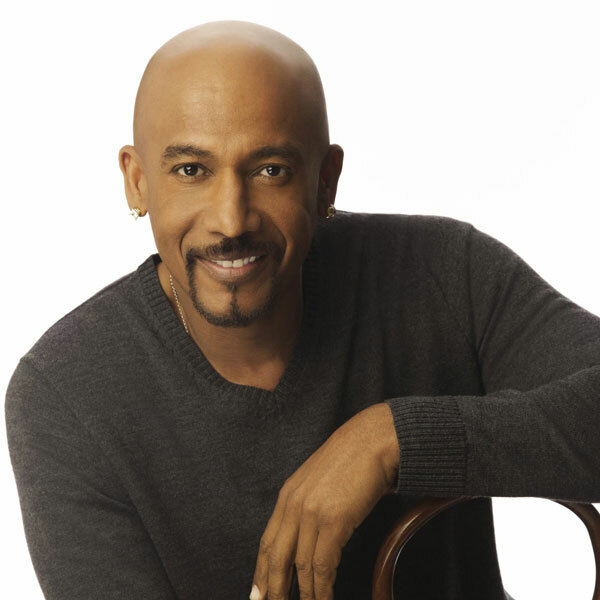 As an Emmy Award-winning TV personality who became a medical marijuana patient after being diagnosed with Multiple Sclerosis in 1999, Montel Williams became one of the first high-profile advocates to cast a spotlight on the absurdity of cannabis prohibition. Since then, he has lobbied for cannabis law reform in nearly every state and as founder of Lenitiv Scientific, he is researching and developing new cannabis therapy formulas. Having spent more than two decades serving in the Marine Corp before graduating from the U.S. Naval Academy as a commissioned officer in the United States Navy, he is also an ardent advocate for veterans to have unrestricted access to cannabis. Montel delivered the Keynote address at the first Cannabis Science Conference in Portland Oregon two years ago and is slated to speak at the event again when it makes its East Coast debut in Baltimore next year. Returning for his second interview on The Cannabis Reporter Radio Show, Josh Crossney is the President & Founder of CSC Events, presenter of the Cannabis Science Conference and jCanna, Inc., a Maryland based 501(c)3 non-profit organization devoted to the advancement of cannabis science, analytical testing, and personalized (precision) medicine. He has parlayed his background in analytical science recruiting and event planning into the industry-wide effort to bridge the gap between analytical sciences and the business of medical cannabis. The fact that some states don’t even require QC/QA testing for their medical cannabis programs inspired him to create a platform to advance the science of medicinal cannabis. The Cannabis Science Conference provides opportunity for industry stakeholders to address barriers to clinical study in the U.S., the lack of unified standards for testing and other common challenges. The post Montel Williams on the Convergence of Cannabis Activism and Science appeared first on The Cannabis Reporter. When Canada finally legalized cannabis for adult use, it produced a wave of optimism on the part of cannabis industry stakeholders in the U.S. But the fact remains we are a long way off before the U.S. government will follow Canada’s lead. Despite ongoing prohibition at the federal level, the cannabis industry is thriving in states that have passed marijuana legalization measures. As a result, there is no shortage of investors looking to put their money into cannabis, and no shortage of ambitious entrepreneurs who would gladly put it to good use. The elephant in the room, of course, is the fact that cannabis remains federally illegal, even in regulation states, which makes investing in the emerging industry risky if not simply more difficult. Adding insult to injury, most major banks in the U.S. won’t touch cannabis money and it’s easy to see that we’ve reached a regulatory impasse. Which is a shame considering that for the first time in a generation we are on the precipice of unleashing an industry that could solve so many economic problems for the U.S. if only our own federal government would get out of the way. Meanwhile, Canada’s market is where smart money is being invested, and while Canadian cannabis companies are reaping the rewards, American companies are impeded by federal law. In recent months, a number of resourceful U.S cannabis companies have been listed on the Canadian exchanges to capitalize on the country’s legal framework for investment into the industry. But recent reports circulating about Canadian investors who have put money into cannabis securities being banned from entering the U.S. have chilled enthusiasm for investing in American companies. Entrepreneurs in the Commonwealth of Massachusetts have felt the pinch ever since cannabis became legal for adult use in in that state. Private companies looking to expand on the domestic front by capitalizing on the legal Canadian market have had to overcome banking barriers and other regulatory complexities to remain competitive with Canadian companies. That’s the topic of this show and our guest Kevin Conroy, former Massachusetts Deputy Attorney General and Boston lawyer with Foley Hoag, has been in the trenches helping companies navigate the legal landscape and overcome the regulatory challenges of intercontinental cannabis banking and commerce. Kevin Conroy is a former Deputy Attorney General for the Commonwealth of Massachusetts who represents cannabis industry investors and operators in the Commonwealth of Massachusetts as a partner in the Boston law firm, Foley Hoag. 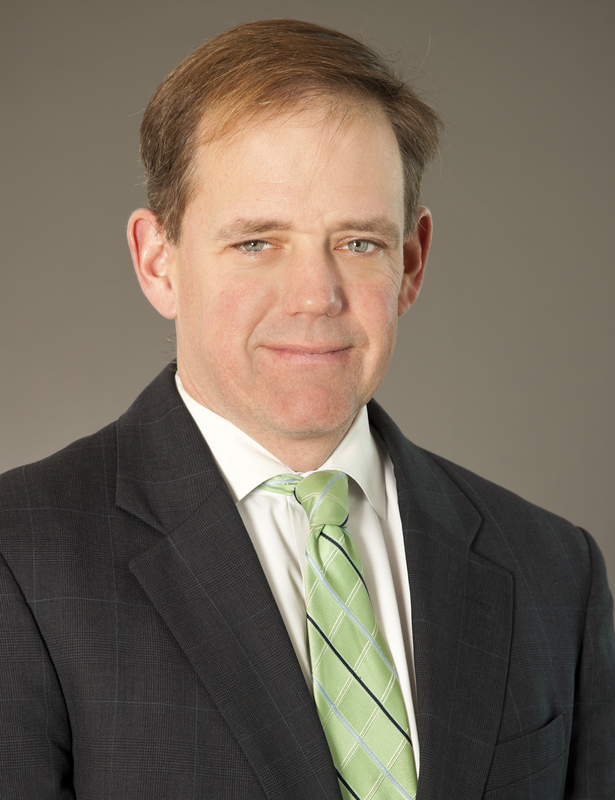 He began his legal career at Foley Hoag in 2005 and several years later he became the Chief of Staff and General Counsel of the New England Council, where he advocated for the Council’s priorities in health care, energy and financial services before the New England congressional delegation and Governors. He served as the Chief of the Massachusetts Attorney General’s Business and Labor Bureau before becoming Deputy Attorney General for the Commonwealth of Massachusetts. 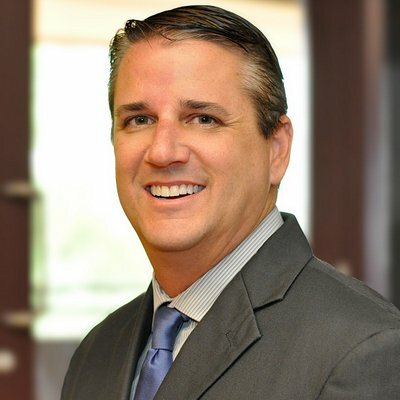 In 2012, Kevin returned to Foley Hoag as a partner in the firm’s Administrative Law Department With a primary focus on government investigations and regulatory matters, he co-chairs the firm’s State Attorney General and Marijuana groups. The post Regulatory Rifts of Intercontinental Cannabis Banking & Commerce appeared first on The Cannabis Reporter. ]]> Kevin Conroy, former Massachusetts Deputy Attorney General explains how companies overcome regulatory challenges of intercontinental cannabis banking Snowden Bishop Navigating Regulatory Rifts of Intercontinental Cannabis Banking & Commerce 59:51 2018 Election Special: Choosing Candidates to Fight for Cannabis Policy Reform https://www.thecannabisreporter.com/bonita-money-diversity-in-cannabis/ Sat, 17 Nov 2018 09:00:05 +0000 https://www.thecannabisreporter.com/?p=88911 <p>Bonita Money, founder of Women Abuv Ground and NDICA, works to promote diversity in cannabis and get justice for victims of the Drug War.</p> <p>The post <a rel="nofollow" href="https://www.thecannabisreporter.com/bonita-money-diversity-in-cannabis/">Worth the Money: The High Value of Social Justice, Diversity & Women in Cannabis</a> appeared first on <a rel="nofollow" href="https://www.thecannabisreporter.com">The Cannabis Reporter</a>.</p> Bonita Money, founder of Women Abuv Ground and NDICA, works to promote diversity in cannabis and get justice for victims of the Drug War. Snowden Bishop 55:26 2018 Election Special: Choosing Candidates to Fight for Cannabis Policy Reform https://www.thecannabisreporter.com/2018-election-special/ Sat, 03 Nov 2018 03:51:57 +0000 https://www.thecannabisreporter.com/?p=88351 <p>Interview with NORML AZ State Director Mikel Weisser about the importance of electing pro-cannabis candidates to protect patients from anti-marijuana policy</p> <p>The post <a rel="nofollow" href="https://www.thecannabisreporter.com/2018-election-special/">2018 Election Special: Choosing Candidates to Fight for Cannabis Policy Reform</a> appeared first on <a rel="nofollow" href="https://www.thecannabisreporter.com">The Cannabis Reporter</a>.</p> Interview with NORML AZ State Director Mikel Weisser about the importance of electing pro-cannabis candidates to protect patients from anti-marijuana policy Snowden Bishop 1:04:11 Power In Numbers: Cannabusinesses Leverage a Collective Advantage https://www.thecannabisreporter.com/canna-hub-tim-mcgraw/ Tue, 23 Oct 2018 11:34:04 +0000 https://www.thecannabisreporter.com/?p=87855 <p>Interview with Tim McGraw, CEO of Canna Hub discusses the collective advantages of business parks exclusively for the Cannabis Industry</p> <p>The post <a rel="nofollow" href="https://www.thecannabisreporter.com/canna-hub-tim-mcgraw/">Power In Numbers: Cannabusinesses Leverage a Collective Advantage</a> appeared first on <a rel="nofollow" href="https://www.thecannabisreporter.com">The Cannabis Reporter</a>.</p> Interview with Tim McGraw, CEO of Canna Hub discusses the collective advantages of business parks exclusively for the Cannabis Industry Snowden Bishop 53:07 Legacy of Jack Herer: The Emperor's Son Inherits His Father's Passion for Hemp https://www.thecannabisreporter.com/legacy-jack-herer-dan-herer/ Mon, 15 Oct 2018 00:39:23 +0000 https://www.thecannabisreporter.com/?p=87600 <p>The Emperor of Hemp's son, Dan Herer, recalls a pivotal moment when he reinvented his career to carry his father's legacy into the future.</p> <p>The post <a rel="nofollow" href="https://www.thecannabisreporter.com/legacy-jack-herer-dan-herer/">Legacy of Jack Herer: The Emperor’s Son Inherits His Father’s Calling</a> appeared first on <a rel="nofollow" href="https://www.thecannabisreporter.com">The Cannabis Reporter</a>.</p> The Emperor of Hemp's son, Dan Herer, recalls a pivotal moment when he reinvented his career to carry his father's legacy into the future. Snowden Bishop 1:00:20 The Cannabis Legacy: How Innovation is Shaping a Healthy & Prosperous Future with a Tribute to John McCain https://www.thecannabisreporter.com/gut-instincts-crohns-disease/ Tue, 02 Oct 2018 14:04:58 +0000 https://www.thecannabisreporter.com/?p=86963 <p>Crohn's patients, naturopathic physician, Dr. Carmel Ferreira and cannabis coach Josh Feld explain how the disease and cannabis have impacted their lives.</p> <p>The post <a rel="nofollow" href="https://www.thecannabisreporter.com/gut-instincts-crohns-disease/">Gut Instincts: How 2 Crohn’s Disease Patients Found Healing Power in Cannabis</a> appeared first on <a rel="nofollow" href="https://www.thecannabisreporter.com">The Cannabis Reporter</a>.</p> Crohn's patients, naturopathic physician, Dr. Carmel Ferreira and cannabis coach Josh Feld explain how the disease and cannabis have impacted their lives. Snowden Bishop 59:58 The Cannabis Legacy: How Innovation is Shaping a Healthy & Prosperous Future with a Tribute to John McCain https://www.thecannabisreporter.com/autoimmune-disease-cannabis/ Fri, 21 Sep 2018 14:47:33 +0000 https://www.thecannabisreporter.com/?p=86515 <p>Jamie Hadfield, end-stage autoimmune disease survivor and Functional Medical Clinical Director at Legend Health explains how the revolutionary practice of Functional Medicine combined with cannabis therapy saved her life.</p> <p>The post <a rel="nofollow" href="https://www.thecannabisreporter.com/autoimmune-disease-cannabis/">Living Proof that Functional Medicine Combined with Cannabis Saves Lives</a> appeared first on <a rel="nofollow" href="https://www.thecannabisreporter.com">The Cannabis Reporter</a>.</p> Jamie Hadfield, end-stage autoimmune disease survivor and Functional Medical Clinical Director at Legend Health explains how the revolutionary practice of Functional Medicine combined with cannabis therapy saved her life. Snowden Bishop Advantage Canada: How Legalization Will Help First Responders Cope with PTSD 56:25 The Cannabis Legacy: How Innovation is Shaping a Healthy & Prosperous Future with a Tribute to John McCain https://www.thecannabisreporter.com/advantage-canada-ptsd/ Tue, 11 Sep 2018 04:56:32 +0000 https://www.thecannabisreporter.com/?p=85966 <p>Durham Regional Police Sgt. Vince LaFaive struggled with PTSD before discovering cannabis. He hopes Canada's legalization helps other officers get well.</p> <p>The post <a rel="nofollow" href="https://www.thecannabisreporter.com/advantage-canada-ptsd/">Advantage Canada: How Legalization Will Help First Responders Access Cannabis for PTSD</a> appeared first on <a rel="nofollow" href="https://www.thecannabisreporter.com">The Cannabis Reporter</a>.</p> Durham Regional Police Sgt. Vince LaFaive struggled with PTSD before discovering cannabis. He hopes Canada's legalization helps other officers get well. Snowden Bishop Advantage Canada: How Legalization Will Help First Responders Cope with PTSD 57:39 The Cannabis Legacy: How Innovation is Shaping a Healthy & Prosperous Future with a Tribute to John McCain https://www.thecannabisreporter.com/cannabis-legacy-innovation/ Mon, 27 Aug 2018 07:40:21 +0000 https://www.thecannabisreporter.com/?p=85201 <p>We pay tribute to Senator John McCain before exploring how innovation in today's cannabis industry are forging a healthy, prosperous and sustainable future. </p> <p>The post <a rel="nofollow" href="https://www.thecannabisreporter.com/cannabis-legacy-innovation/">The Cannabis Legacy: How Innovation is Shaping a Healthy & Prosperous Future</a> appeared first on <a rel="nofollow" href="https://www.thecannabisreporter.com">The Cannabis Reporter</a>.</p> We pay tribute to Senator John McCain before exploring how innovation in today's cannabis industry are forging a healthy, prosperous and sustainable future. Snowden Bishop 56:45 Cannabinoid Deficiency: It Could Be the Reason You Don't Feel Well https://www.thecannabisreporter.com/cannabinoid-deficiency-bonni-goldstein-md/ Sun, 19 Aug 2018 10:55:21 +0000 https://www.thecannabisreporter.com/?p=84923 <p>Bonni Goldstein, MD, Author, Weed Maps Medical Director makes some astonishing revelations about endocannabinoid deficiency and illness</p> <p>The post <a rel="nofollow" href="https://www.thecannabisreporter.com/cannabinoid-deficiency-bonni-goldstein-md/">Cannabinoid Deficiency: It Could Be the Reason You Don’t Feel Well</a> appeared first on <a rel="nofollow" href="https://www.thecannabisreporter.com">The Cannabis Reporter</a>.</p> Bonni Goldstein, MD, Author, Weed Maps Medical Director makes some astonishing revelations about endocannabinoid deficiency and illness Snowden Bishop 59:30 The Marijuana Show's Third Season Primes Its Next Cannabis Millionaires on Amazon https://www.thecannabisreporter.com/the-marijuana-show-introduces-its-next-cannabis-millionaires/ Sun, 12 Aug 2018 04:51:18 +0000 https://www.thecannabisreporter.com/?p=84586 <p>Producers of The Marijuana Show, Wendy Robbins and Karen Paull reveal their proven formula for success in Season 3 on Amazon Prime</p> <p>The post <a rel="nofollow" href="https://www.thecannabisreporter.com/the-marijuana-show-introduces-its-next-cannabis-millionaires/">The Marijuana Show’s Third Season Primes Its Next Cannabis Millionaires on Amazon</a> appeared first on <a rel="nofollow" href="https://www.thecannabisreporter.com">The Cannabis Reporter</a>.</p> Producers of The Marijuana Show, Wendy Robbins and Karen Paull reveal their proven formula for success in Season 3 on Amazon Prime Snowden Bishop 51:37 Ending the Opiate Crisis: Why Cannabis Should Be the First Step in Addiction Recovery https://www.thecannabisreporter.com/cannabis-first-step-addiction-recovery/ Fri, 03 Aug 2018 23:20:07 +0000 https://www.thecannabisreporter.com/?p=84220 <p>Naturalpathic physician Dr. Ravi Chandiramani explains how he has successfully integrated cannabis therapy into his practice of treating addiction recovery patients</p> <p>The post <a rel="nofollow" href="https://www.thecannabisreporter.com/cannabis-first-step-addiction-recovery/">Ending the Opiate Crisis: Why Cannabis Should Be the First Step in Addiction Recovery</a> appeared first on <a rel="nofollow" href="https://www.thecannabisreporter.com">The Cannabis Reporter</a>.</p> Naturalpathic physician Dr. Ravi Chandiramani explains how he has successfully integrated cannabis therapy into his practice of treating addiction recovery patients Snowden Bishop 45:34 Making Sense of California CBD Policy and Other Legal Bombshells with attorney Patrick Nightingale https://www.thecannabisreporter.com/federal-state-cbd-policy/ Mon, 23 Jul 2018 00:11:50 +0000 https://www.thecannabisreporter.com/?p=83625 <p>After California dropped the bombshell that it now bans all CBD food substances, Attorney Patrick Nightingale helps to bring clarity to ambiguous policy</p> <p>The post <a rel="nofollow" href="https://www.thecannabisreporter.com/federal-state-cbd-policy/">Blurry Lines of Justice: Making Sense of Federal & State CBD Policy Changes</a> appeared first on <a rel="nofollow" href="https://www.thecannabisreporter.com">The Cannabis Reporter</a>.</p> After California dropped the bombshell that it now bans all CBD food substances, Attorney Patrick Nightingale helps to bring clarity to ambiguous policy Snowden Bishop 1:00:00 Why NFL Alumni Encourage Players Union to Endorse CBD As a Preventative Measure https://www.thecannabisreporter.com/nfl-alumni-encourage-players-union-endorse-cbd/ Tue, 17 Jul 2018 12:23:37 +0000 https://www.thecannabisreporter.com/?p=83336 <p>NFL Champion and Hall of Fame Kicker for the Kansas City Chiefs discusses his efforts to change the League's cannabis policy from the ground up.</p> <p>The post <a rel="nofollow" href="https://www.thecannabisreporter.com/nfl-alumni-encourage-players-union-endorse-cbd/">Why NFL Alumni Encourage Players Union to Endorse CBD As a Preventative Measure</a> appeared first on <a rel="nofollow" href="https://www.thecannabisreporter.com">The Cannabis Reporter</a>.</p> NFL Champion and Hall of Fame Kicker for the Kansas City Chiefs discusses his efforts to change the League's cannabis policy from the ground up. Snowden Bishop 49:41 Now Prosecuting Patients: Absurdity of Anti-Marijuana Obduracy https://www.thecannabisreporter.com/az-now-prosecuting-patients/ Mon, 02 Jul 2018 23:55:51 +0000 https://www.thecannabisreporter.com/?p=82807 <p>Arizona’s cannabis industry was blindsided last week by an Appellate Court ruling that essentially gutted the Arizona Medical Marijuana Act (AMMA). </p> <p>The post <a rel="nofollow" href="https://www.thecannabisreporter.com/az-now-prosecuting-patients/">Now Prosecuting Patients: Absurdity of Anti-Marijuana Obduracy</a> appeared first on <a rel="nofollow" href="https://www.thecannabisreporter.com">The Cannabis Reporter</a>.</p> Arizona’s cannabis industry was blindsided last week by an Appellate Court ruling that essentially gutted the Arizona Medical Marijuana Act (AMMA). Snowden Bishop 1:01:43 How Compassionate Care is Transforming the Field of Medicine https://www.thecannabisreporter.com/compassionate-care-transforming-medicine/ Sat, 23 Jun 2018 23:53:10 +0000 https://www.thecannabisreporter.com/?p=82315 <p>Dr. Bryan Doner explains why cannabis is transforming medicine and leading to a more compassionate, sustainable and prosperous future.</p> <p>The post <a rel="nofollow" href="https://www.thecannabisreporter.com/compassionate-care-transforming-medicine/">How Compassionate Care is Transforming the Field of Medicine</a> appeared first on <a rel="nofollow" href="https://www.thecannabisreporter.com">The Cannabis Reporter</a>.</p> Dr. Bryan Doner explains why cannabis is transforming medicine and leading to a more compassionate, sustainable and prosperous future. Snowden Bishop 51:25 How Cannabis Sheds Light on the Insidious Darkness of Suicide https://www.thecannabisreporter.com/cannabis-sheds-light-darkness-suicide/ Tue, 19 Jun 2018 03:23:07 +0000 https://www.thecannabisreporter.com/?p=82034 <p>Returning guest, combat vet Dan Schmink, has been dangerously close to suicide with PTSD and combat wounds. He shares insights about coping and finding joy.</p> <p>The post <a rel="nofollow" href="https://www.thecannabisreporter.com/cannabis-sheds-light-darkness-suicide/">How Cannabis Sheds Light on the Insidious Darkness of Suicide</a> appeared first on <a rel="nofollow" href="https://www.thecannabisreporter.com">The Cannabis Reporter</a>.</p> Returning guest, combat vet Dan Schmink, has been dangerously close to suicide with PTSD and combat wounds. 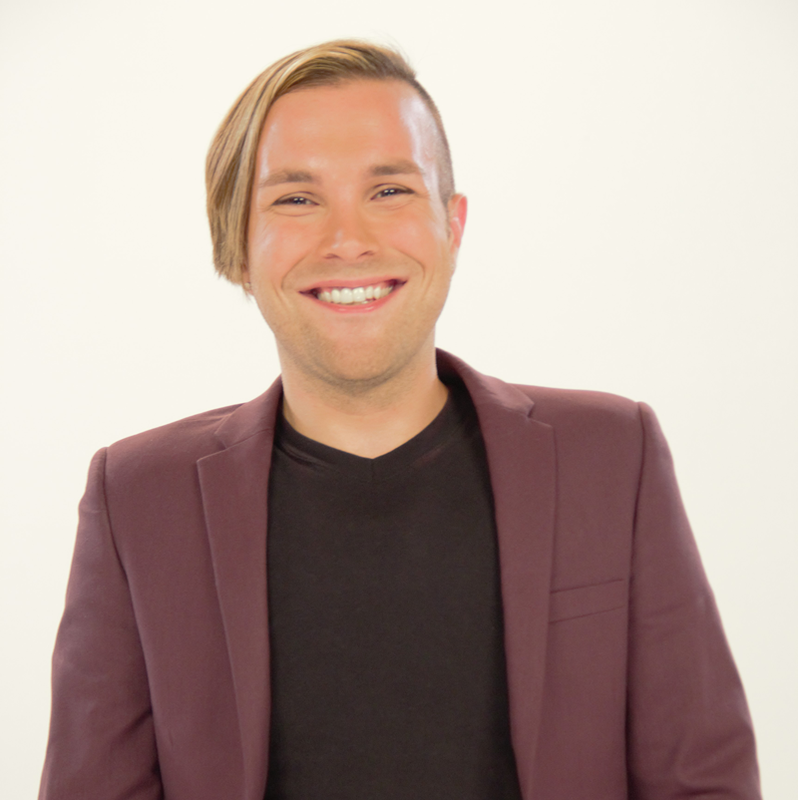 He shares insights about coping and finding joy. Snowden Bishop 1:00:05 Cannabis Science & The Next Generation Paradigm of Knowledge https://www.thecannabisreporter.com/cannabis-science-validates-common-knowledge/ Sat, 09 Jun 2018 09:38:16 +0000 https://www.thecannabisreporter.com/?p=81503 <p>Josh Crossney, founder of the nonprofit advocacy, JCanna, explains how he is bringing the science of cannabis into public awareness through his annual Cannabis Science Conference</p> <p>The post <a rel="nofollow" href="https://www.thecannabisreporter.com/cannabis-science-validates-common-knowledge/">Cannabis Science & The Next Generation Paradigm of Knowledge</a> appeared first on <a rel="nofollow" href="https://www.thecannabisreporter.com">The Cannabis Reporter</a>.</p> Josh Crossney, founder of the nonprofit advocacy, JCanna, explains how he is bringing the science of cannabis into public awareness through his annual Cannabis Science Conference Snowden Bishop 58:42 Saving Sophie & Science Proving Miracles of Medical Marijuana https://www.thecannabisreporter.com/saving-sophie-ryan/ Thu, 31 May 2018 04:48:24 +0000 https://www.thecannabisreporter.com/?p=80954 <p>CannaKids founder Tracy Ryan explains why California’s adult-use policy makes medical marijuana more costly for suppliers and patients who need cannabis to survive</p> <p>The post <a rel="nofollow" href="https://www.thecannabisreporter.com/saving-sophie-ryan/">Saving Sophie & Science Proving Miracles of Medical Marijuana</a> appeared first on <a rel="nofollow" href="https://www.thecannabisreporter.com">The Cannabis Reporter</a>.</p> CannaKids founder Tracy Ryan explains why California’s adult-use policy makes medical marijuana more costly for suppliers and patients who need cannabis to survive Snowden Bishop 1:00:47 A Higher Calling Down Under: Cannabis Research & Alzheimer’s https://www.thecannabisreporter.com/a-higher-calling-down-under-cannabis-research-alzheimers/ Fri, 18 May 2018 19:17:36 +0000 https://www.thecannabisreporter.com/?p=79973 <p>Having legalized medical use of cannabis at the federal level only a year ago, Australia's domestic market is still new but advantages are light years ahead of the U.S.</p> <p>The post <a rel="nofollow" href="https://www.thecannabisreporter.com/a-higher-calling-down-under-cannabis-research-alzheimers/">A Higher Calling Down Under: Cannabis Research & Alzheimer’s</a> appeared first on <a rel="nofollow" href="https://www.thecannabisreporter.com">The Cannabis Reporter</a>.</p> Having legalized medical use of cannabis at the federal level only a year ago, Australia's domestic market is still new but advantages are light years ahead of the U.S. Snowden Bishop 58:43 Transcending Social Norms: Mary Janes – The Women of Weed https://www.thecannabisreporter.com/transcending-social-norms-mary-janes-women-of-weed/ Mon, 14 May 2018 15:28:02 +0000 https://www.thecannabisreporter.com/?p=79507 <p>Filmmaker Windy Borman and music icon Melissa Etheridge weigh in on the film “Mary Janes: Women of Weed” and how women are influencing change.</p> <p>The post <a rel="nofollow" href="https://www.thecannabisreporter.com/transcending-social-norms-mary-janes-women-of-weed/">Transcending Social Norms: Mary Janes – The Women of Weed</a> appeared first on <a rel="nofollow" href="https://www.thecannabisreporter.com">The Cannabis Reporter</a>.</p> Filmmaker Windy Borman and music icon Melissa Etheridge weigh in on the film “Mary Janes: Women of Weed” and how women are influencing change. Snowden Bishop 59:03 Liberating Cannabis: a Right to Life Issue for Autistic Kids https://www.thecannabisreporter.com/liberating-cannabis-a-right-to-life-issue-for-autistic-kids/ Mon, 07 May 2018 16:16:36 +0000 https://www.thecannabisreporter.com/?p=78701 <p>Interview with Meiko Perez, who explains how cannabis dramatically improved the condition of her autistic son Joey.</p> <p>The post <a rel="nofollow" href="https://www.thecannabisreporter.com/liberating-cannabis-a-right-to-life-issue-for-autistic-kids/">Liberating Cannabis: a Right to Life Issue for Autistic Kids</a> appeared first on <a rel="nofollow" href="https://www.thecannabisreporter.com">The Cannabis Reporter</a>.</p> Interview with Meiko Perez, who explains how cannabis dramatically improved the condition of her autistic son Joey. Snowden Bishop 47:30 No More Smoke and Mirrors: Days of Cannabis Denial May Be Over https://www.thecannabisreporter.com/no-more-smoke-and-mirrors-days-of-cannabis-denial-may-be-over/ Fri, 20 Apr 2018 17:04:30 +0000 https://www.thecannabisreporter.com/?p=77017 <p>With groundbreaking legislation to legalize both hemp and marijuana pending in Congress, the days of cannabis denial seem to be coming to an end.</p> <p>The post <a rel="nofollow" href="https://www.thecannabisreporter.com/no-more-smoke-and-mirrors-days-of-cannabis-denial-may-be-over/">No More Smoke and Mirrors: Days of Cannabis Denial May Be Over</a> appeared first on <a rel="nofollow" href="https://www.thecannabisreporter.com">The Cannabis Reporter</a>.</p> With groundbreaking legislation to legalize both hemp and marijuana pending in Congress, the days of cannabis denial seem to be coming to an end. Snowden Bishop 53:47 Veterans Who Survive War Should Not Be Left to Die Reliving It https://www.thecannabisreporter.com/veterans-who-survive-war-should-not-be-left-to-die-reliving-it/ Mon, 09 Apr 2018 18:56:50 +0000 https://www.thecannabisreporter.com/?p=75282 <p>Leo Bridgewater, an Army veteran/cannabis activist describes his experiences at war and why he devotes his time advocating for cannabis policy change.</p> <p>The post <a rel="nofollow" href="https://www.thecannabisreporter.com/veterans-who-survive-war-should-not-be-left-to-die-reliving-it/">Veterans Who Survive War Should Not Be Left to Die Reliving It</a> appeared first on <a rel="nofollow" href="https://www.thecannabisreporter.com">The Cannabis Reporter</a>.</p> Leo Bridgewater, an Army veteran/cannabis activist describes his experiences at war and why he devotes his time advocating for cannabis policy change. Snowden Bishop 1:00:04 Modern Renaissance: The New Hemp Economy is Around the Corner https://www.thecannabisreporter.com/modern-renaissance-the-new-hemp-economy-is-around-the-corner/ Fri, 30 Mar 2018 17:45:32 +0000 https://www.thecannabisreporter.com/?p=74425 <p>Michael “Mr. Hemp” Bowman and Greg Flavall explain why America needs hemp to thrive and how it can revitalize our economy, even in these turbulent times.</p> <p>The post <a rel="nofollow" href="https://www.thecannabisreporter.com/modern-renaissance-the-new-hemp-economy-is-around-the-corner/">Modern Renaissance: The New Hemp Economy is Around the Corner</a> appeared first on <a rel="nofollow" href="https://www.thecannabisreporter.com">The Cannabis Reporter</a>.</p> Michael “Mr. Hemp” Bowman and Greg Flavall explain why America needs hemp to thrive and how it can revitalize our economy, even in these turbulent times. Snowden Bishop 1:00:41 How Cannabis Helps Veterans Cope With PTSD and Civilian Life https://www.thecannabisreporter.com/mile-marker-how-cannabis-helps-veterans-cope-with-ptsd-and-civilian-life/ Fri, 23 Mar 2018 15:47:33 +0000 https://www.thecannabisreporter.com/?p=73447 <p>Filmmaker Korey Rowe talks about his new documentary on the devastating impact of PTSD and ways in which cannabis helps veterans cope upon return to civilian life. </p> <p>The post <a rel="nofollow" href="https://www.thecannabisreporter.com/mile-marker-how-cannabis-helps-veterans-cope-with-ptsd-and-civilian-life/">How Cannabis Helps Veterans Cope With PTSD and Civilian Life</a> appeared first on <a rel="nofollow" href="https://www.thecannabisreporter.com">The Cannabis Reporter</a>.</p> Filmmaker Korey Rowe talks about his new documentary on the devastating impact of PTSD and ways in which cannabis helps veterans cope upon return to civilian life. Snowden Bishop 50:20 How Pro-Cannabis Companies Deflect Anti-Marijuana Scare Tactics https://www.thecannabisreporter.com/how-pro-cannabis-companies-deflect-anti-marijuana-scare-tactics/ Mon, 05 Mar 2018 16:41:46 +0000 https://www.thecannabisreporter.com/?p=71175 <p>Financial advisor Serge Chistov explains how cannabis companies and stakeholders overcome legal and regulatory obstacles to balance risk and reward.</p> <p>The post <a rel="nofollow" href="https://www.thecannabisreporter.com/how-pro-cannabis-companies-deflect-anti-marijuana-scare-tactics/">How Pro-Cannabis Companies Deflect Anti-Marijuana Scare Tactics</a> appeared first on <a rel="nofollow" href="https://www.thecannabisreporter.com">The Cannabis Reporter</a>.</p> Financial advisor Serge Chistov explains how cannabis companies and stakeholders overcome legal and regulatory obstacles to balance risk and reward. Snowden Bishop 51:58 Hope Springs Eternal: Conscious Capitalism In The Cannabis Industry https://www.thecannabisreporter.com/hope-springs-eternal-conscious-capitalism-in-the-cannabis-industry/ Fri, 23 Feb 2018 17:38:38 +0000 https://www.thecannabisreporter.com/?p=70095 <p>Hemp industry visionaries Bruce Perlowin and Rick Wall explain why social responsibility is a driving force for many cannabis entrepreneurs.</p> <p>The post <a rel="nofollow" href="https://www.thecannabisreporter.com/hope-springs-eternal-conscious-capitalism-in-the-cannabis-industry/">Hope Springs Eternal: Conscious Capitalism In The Cannabis Industry</a> appeared first on <a rel="nofollow" href="https://www.thecannabisreporter.com">The Cannabis Reporter</a>.</p> Hemp industry visionaries Bruce Perlowin and Rick Wall explain why social responsibility is a driving force for many cannabis entrepreneurs. Snowden Bishop 59:49 Shattering the Glass Ceiling: Women in Cannabis Make History https://www.thecannabisreporter.com/shattering-the-glass-ceiling-women-in-cannabis-make-history/ Fri, 16 Feb 2018 16:09:03 +0000 https://www.thecannabisreporter.com/?p=69267 <p>Green Doctors owner Liz Valentine explains how women in cannabis are rising above the oppressive stigma and leading the paradigm shift.</p> <p>The post <a rel="nofollow" href="https://www.thecannabisreporter.com/shattering-the-glass-ceiling-women-in-cannabis-make-history/">Shattering the Glass Ceiling: Women in Cannabis Make History</a> appeared first on <a rel="nofollow" href="https://www.thecannabisreporter.com">The Cannabis Reporter</a>.</p> Green Doctors owner Liz Valentine explains how women in cannabis are rising above the oppressive stigma and leading the paradigm shift. Snowden Bishop 55:20 MTV’s “Coolest Guy In Television” Takes On The Hottest Topic at 420TV https://www.thecannabisreporter.com/mtvs-coolest-guy-in-television-takes-on-the-hottest-topic-at-420tv/ Fri, 02 Feb 2018 17:18:37 +0000 https://www.thecannabisreporter.com/?p=67564 <p>Snowden Bishop interviews Cannabiz producers and host Quddus about the passion driving the cannabis industry and their show's upcoming debut on 420TV.</p> <p>The post <a rel="nofollow" href="https://www.thecannabisreporter.com/mtvs-coolest-guy-in-television-takes-on-the-hottest-topic-at-420tv/">MTV’s “Coolest Guy In Television” Takes On The Hottest Topic at 420TV</a> appeared first on <a rel="nofollow" href="https://www.thecannabisreporter.com">The Cannabis Reporter</a>.</p> Snowden Bishop interviews Cannabiz producers and host Quddus about the passion driving the cannabis industry and their show's upcoming debut on 420TV. Snowden Bishop 47:07 Forgotten Victims of Unjust Drug Policy: Medical Marijuana Felons https://www.thecannabisreporter.com/forgotten-victims-of-unjust-drug-policy-medical-marijuana-felons/ Fri, 26 Jan 2018 16:46:37 +0000 https://www.thecannabisreporter.com/?p=66662 <p>After enduring prosecution and years behind bars for a marijuana offense, Crohn's patient Chris Martin had to overcome the stigma of a felony conviction to thrive.</p> <p>The post <a rel="nofollow" href="https://www.thecannabisreporter.com/forgotten-victims-of-unjust-drug-policy-medical-marijuana-felons/">Forgotten Victims of Unjust Drug Policy: Medical Marijuana Felons</a> appeared first on <a rel="nofollow" href="https://www.thecannabisreporter.com">The Cannabis Reporter</a>.</p> After enduring prosecution and years behind bars for a marijuana offense, Crohn's patient Chris Martin had to overcome the stigma of a felony conviction to thrive. Snowden Bishop 54:46 Normalizing Cannabis: Forging the Path toward Regulation https://www.thecannabisreporter.com/normalizing-cannabis-forging-the-path-toward-regulation/ Fri, 19 Jan 2018 20:02:55 +0000 https://www.thecannabisreporter.com/?p=65782 <p>Veteran cannabis activist and founder of NORML, Keith Stroup reveals little-known politics of prohibition and the racially-charged "Broken Windows" theory behind it.</p> <p>The post <a rel="nofollow" href="https://www.thecannabisreporter.com/normalizing-cannabis-forging-the-path-toward-regulation/">Normalizing Cannabis: Forging the Path toward Regulation</a> appeared first on <a rel="nofollow" href="https://www.thecannabisreporter.com">The Cannabis Reporter</a>.</p> Veteran cannabis activist and founder of NORML, Keith Stroup reveals little-known politics of prohibition and the racially-charged "Broken Windows" theory behind it. Snowden Bishop 1:01:53 Mexico’s Former President Vicente Fox Weighs In on Drug Policy https://www.thecannabisreporter.com/mexicos-former-president-vicente-fox-weighs-in-on-drug-policy/ Sat, 13 Jan 2018 16:38:49 +0000 https://www.thecannabisreporter.com/?p=64984 <p>As A.G. Jeff Sessions doubles down on the War On Drugs, Mexico’s former President Vicente Fox explains why U.S. drug policy is dangerous for national security.</p> <p>The post <a rel="nofollow" href="https://www.thecannabisreporter.com/mexicos-former-president-vicente-fox-weighs-in-on-drug-policy/">Mexico’s Former President Vicente Fox Weighs In on Drug Policy</a> appeared first on <a rel="nofollow" href="https://www.thecannabisreporter.com">The Cannabis Reporter</a>.</p> As A.G. Jeff Sessions doubles down on the War On Drugs, Mexico’s former President Vicente Fox explains why U.S. drug policy is dangerous for national security. Snowden Bishop 48:15 Rebuilding for Survival: Why Hazard Zones Need Hemp Homes https://www.thecannabisreporter.com/rebuilding-for-survival-why-hazard-zones-need-hemp-homes/ Mon, 08 Jan 2018 17:18:27 +0000 https://www.thecannabisreporter.com/?p=64238 <p>Hemp Home Build TV show host and builder, Greg Flavall and producer, Diana Oliver explain how hemp increases odds a home can survive the next disaster. </p> <p>The post <a rel="nofollow" href="https://www.thecannabisreporter.com/rebuilding-for-survival-why-hazard-zones-need-hemp-homes/">Rebuilding for Survival: Why Hazard Zones Need Hemp Homes</a> appeared first on <a rel="nofollow" href="https://www.thecannabisreporter.com">The Cannabis Reporter</a>.</p> Hemp Home Build TV show host and builder, Greg Flavall and producer, Diana Oliver explain how hemp increases odds a home can survive the next disaster. Snowden Bishop 59:03 Back Pain Specialist & Opiate Prescriber Advocates for Cannabis https://www.thecannabisreporter.com/back-pain-specialist-opiate-prescriber-advocates-for-cannabis/ Thu, 04 Jan 2018 18:47:18 +0000 https://www.thecannabisreporter.com/?p=63638 <p>Renowned spine and pain specialist Dr. Bobby Dey, a founder of the nation’s largest opiate prescriber, explains why he left his practice to advocate for cannabis.</p> <p>The post <a rel="nofollow" href="https://www.thecannabisreporter.com/back-pain-specialist-opiate-prescriber-advocates-for-cannabis/">Back Pain Specialist & Opiate Prescriber Advocates for Cannabis</a> appeared first on <a rel="nofollow" href="https://www.thecannabisreporter.com">The Cannabis Reporter</a>.</p> Renowned spine and pain specialist Dr. Bobby Dey, a founder of the nation’s largest opiate prescriber, explains why he left his practice to advocate for cannabis. Snowden Bishop 39:59 Nothing But Truth: Prohibition Is The Golden Goose of Terrorism https://www.thecannabisreporter.com/judge-gray-on-drug-prohibition/ Sat, 23 Dec 2017 17:21:58 +0000 https://www.thecannabisreporter.com/?p=62100 <p>Author, jurist and 2012 Vice Presidential candidate, Judge James P. Gray reveals the truth about the drug war and explains why cannabis prohibition the Golden Goose of terrorism. </p> <p>The post <a rel="nofollow" href="https://www.thecannabisreporter.com/judge-gray-on-drug-prohibition/">Nothing But Truth: Prohibition Is The Golden Goose of Terrorism</a> appeared first on <a rel="nofollow" href="https://www.thecannabisreporter.com">The Cannabis Reporter</a>.</p> Author, jurist and 2012 Vice Presidential candidate, Judge James P. Gray reveals the truth about the drug war and explains why cannabis prohibition the Golden Goose of terrorism. Snowden Bishop 53:04 In a Male World, Cannabis Industry Women Grow and Thrive https://www.thecannabisreporter.com/in-a-male-world-cannabis-industry-women-grow-and-thrive/ Fri, 15 Dec 2017 15:34:33 +0000 https://www.thecannabisreporter.com/?p=60771 <p>With leadership positions at Women Grow, our guests are helping women and men in the cannabis industry thrive while shaping the industry as a whole. </p> <p>The post <a rel="nofollow" href="https://www.thecannabisreporter.com/in-a-male-world-cannabis-industry-women-grow-and-thrive/">In a Male World, Cannabis Industry Women Grow and Thrive</a> appeared first on <a rel="nofollow" href="https://www.thecannabisreporter.com">The Cannabis Reporter</a>.</p> With leadership positions at Women Grow, our guests are helping women and men in the cannabis industry thrive while shaping the industry as a whole. Snowden Bishop 53:57 Missouri Vets Get a Voice: No MO Pills, Show Me Cannabis https://www.thecannabisreporter.com/voices-from-missouri-show-me-cannabis-in-the-show-me-state/ Mon, 11 Dec 2017 16:32:05 +0000 https://www.thecannabisreporter.com/?p=60121 <p>Veteran Joshua Lee and his wife Julia, a trauma counselor, are showing up to advocate for cannabis policy reform in the Show Me State of Missouri</p> <p>The post <a rel="nofollow" href="https://www.thecannabisreporter.com/voices-from-missouri-show-me-cannabis-in-the-show-me-state/">Missouri Vets Get a Voice: No MO Pills, Show Me Cannabis</a> appeared first on <a rel="nofollow" href="https://www.thecannabisreporter.com">The Cannabis Reporter</a>.</p> Veteran Joshua Lee and his wife Julia, a trauma counselor, are showing up to advocate for cannabis policy reform in the Show Me State of Missouri Snowden Bishop 51:19 Hemp For Victory: Legacy Campaign to Revive an Embattled Nation https://www.thecannabisreporter.com/hemp-victory-legacy-campaign-revive-embattled-nation/ Fri, 01 Dec 2017 17:52:16 +0000 https://www.thecannabisreporter.com/?p=58558 <p>National Hemp Foundation’s Founding Chair Michael “Mr. Hemp” Bowman and music icon Micah Nelson repurpose Hemp for Victory to campaign for hemp legislation.</p> <p>The post <a rel="nofollow" href="https://www.thecannabisreporter.com/hemp-victory-legacy-campaign-revive-embattled-nation/">Hemp For Victory: Legacy Campaign to Revive an Embattled Nation</a> appeared first on <a rel="nofollow" href="https://www.thecannabisreporter.com">The Cannabis Reporter</a>.</p> National Hemp Foundation’s Founding Chair Michael “Mr. Hemp” Bowman and music icon Micah Nelson repurpose Hemp for Victory to campaign for hemp legislation. Snowden Bishop 53:51 Overcoming Opiates: Sports Doc & NFL Survivor Talk Cannabis https://www.thecannabisreporter.com/overcoming-opiates-sports-doc-nfl-survivor-talk-cannabis/ Sat, 25 Nov 2017 03:03:03 +0000 https://thecannabisreporter.com/?p=57620 <p>Former NFL jock, Survivor contestant, author Grant Mattos & sports physician Uma Dhanalaban, M.D. discuss opiate addiction and cannabis as a new normal</p> <p>The post <a rel="nofollow" href="https://www.thecannabisreporter.com/overcoming-opiates-sports-doc-nfl-survivor-talk-cannabis/">Overcoming Opiates: Sports Doc & NFL Survivor Talk Cannabis</a> appeared first on <a rel="nofollow" href="https://www.thecannabisreporter.com">The Cannabis Reporter</a>.</p> Former NFL jock, Survivor contestant, author Grant Mattos & sports physician Uma Dhanalaban, M.D. discuss opiate addiction and cannabis as a new normal Snowden Bishop 53:43 New Applications for Genetic Testing Inform Cannabis Therapy https://www.thecannabisreporter.com/new-application-genetic-testing-inform-cannabis-therapy/ Fri, 10 Nov 2017 15:43:29 +0000 https://thecannabisreporter.com/?p=55471 <p>Genome scientist Dr. Rahul Kushwah & cannabis expert Mike Heart, M.D. explain why genetic testing helps doctors understand how cannabis effects patients.</p> <p>The post <a rel="nofollow" href="https://www.thecannabisreporter.com/new-application-genetic-testing-inform-cannabis-therapy/">New Applications for Genetic Testing Inform Cannabis Therapy</a> appeared first on <a rel="nofollow" href="https://www.thecannabisreporter.com">The Cannabis Reporter</a>.</p> Genome scientist Dr. Rahul Kushwah & cannabis expert Mike Heart, M.D. explain why genetic testing helps doctors understand how cannabis effects patients. Snowden Bishop 58:09 Veterans Defend Our Freedom. It’s Time We Defend Theirs. Why VA Policy Causes More Harm Than Good. https://www.thecannabisreporter.com/veterans-defend-our-freedom-its-time-we-defend-theirs-why-va-policy-causes-more-harm-than-good/ Fri, 03 Nov 2017 19:18:46 +0000 https://thecannabisreporter.com/?p=54436 <p>Snowden Bishop interviews Veterans and PTSD Specialist Dr. Jordan Tishler on why VA policy causes more harm than good.</p> <p>The post <a rel="nofollow" href="https://www.thecannabisreporter.com/veterans-defend-our-freedom-its-time-we-defend-theirs-why-va-policy-causes-more-harm-than-good/">Veterans Defend Our Freedom. It’s Time We Defend Theirs. Why VA Policy Causes More Harm Than Good.</a> appeared first on <a rel="nofollow" href="https://www.thecannabisreporter.com">The Cannabis Reporter</a>.</p> Snowden Bishop interviews Veterans and PTSD Specialist Dr. Jordan Tishler on why VA policy causes more harm than good. Snowden Bishop clean Evidence Exists: Cannabis Curbs Addiction and Could Solve the Opioid Crisis https://www.thecannabisreporter.com/dr-gina-berman-opioid-crisis/ Mon, 30 Oct 2017 16:07:45 +0000 https://thecannabisreporter.com/?p=29382 <p>After years of research and clinical practice, Dr. Gina Berman's novel approach to addiction recovery could prove to be the solution for the opiate crisis.</p> <p>The post <a rel="nofollow" href="https://www.thecannabisreporter.com/dr-gina-berman-opioid-crisis/">Evidence Exists: Cannabis Curbs Addiction and Could Solve the Opioid Crisis</a> appeared first on <a rel="nofollow" href="https://www.thecannabisreporter.com">The Cannabis Reporter</a>.</p> After years of research and clinical practice, Dr. Gina Berman's novel approach to addiction recovery could prove to be the solution for the opiate crisis. Snowden Bishop clean Shifting Roles: Why Patients Inform Doctors About Cannabis Therapy https://www.thecannabisreporter.com/dr-regina-nelson-cannabis-therapy/ Sun, 22 Oct 2017 01:09:41 +0000 https://thecannabisreporter.com/?p=52727 <p>Author/Researcher Dr. Regina Nelson discusses her study on the synergistic doctor patient paradigm related to cannabis therapy.</p> <p>The post <a rel="nofollow" href="https://www.thecannabisreporter.com/dr-regina-nelson-cannabis-therapy/">Shifting Roles: Why Patients Inform Doctors About Cannabis Therapy</a> appeared first on <a rel="nofollow" href="https://www.thecannabisreporter.com">The Cannabis Reporter</a>.</p> Author/Researcher Dr. Regina Nelson discusses her study on the synergistic doctor patient paradigm related to cannabis therapy. Snowden Bishop clean Kicking CTE with CBD: Can It Prevent the NFL’s Industrial Disease? https://www.thecannabisreporter.com/kicking-cte-cbd-nfl-disease/ Sat, 07 Oct 2017 20:19:17 +0000 https://thecannabisreporter.com/?p=45885 <p>KC Chiefs Hall of Fame kicker, Nick Lowery and CTE expert H.J. Raza, M.D./PhD. explain how the disease manifests and why CBD may be the best medicine for the NFL.</p> <p>The post <a rel="nofollow" href="https://www.thecannabisreporter.com/kicking-cte-cbd-nfl-disease/">Kicking CTE with CBD: Can It Prevent the NFL’s Industrial Disease?</a> appeared first on <a rel="nofollow" href="https://www.thecannabisreporter.com">The Cannabis Reporter</a>.</p> KC Chiefs Hall of Fame kicker, Nick Lowery and CTE expert H.J. Raza, M.D./PhD. explain how the disease manifests and why CBD may be the best medicine for the NFL. Snowden Bishop clean Micah Nelson: Harvesting Harmony, Healing and Hope for American Farmers with Hemp https://www.thecannabisreporter.com/micah-nelson-harvesting-harmony-hope-hemp/ Wed, 27 Sep 2017 09:09:48 +0000 https://thecannabisreporter.com/?p=48533 <p>National Hemp Association Board member Micah Nelson and host Snowden Bishop explore how legalizing hemp can lead to harmony, healing and hope for America </p> <p>The post <a rel="nofollow" href="https://www.thecannabisreporter.com/micah-nelson-harvesting-harmony-hope-hemp/">Micah Nelson: Harvesting Harmony, Healing and Hope for American Farmers with Hemp</a> appeared first on <a rel="nofollow" href="https://www.thecannabisreporter.com">The Cannabis Reporter</a>.</p> National Hemp Association Board member Micah Nelson and host Snowden Bishop explore how legalizing hemp can lead to harmony, healing and hope for America Snowden Bishop clean Legislation for a Healthy Nation: The Industrial Hemp Farming Act https://www.thecannabisreporter.com/industrial-hemp-farming-act/ Tue, 26 Sep 2017 06:20:07 +0000 https://thecannabisreporter.com/?p=48366 <p>U.S. Congressman James Comer and Ananda Hemp's Brian Furnish discuss the new Industrial Hemp Farming Act introduced with bipartisan support.</p> <p>The post <a rel="nofollow" href="https://www.thecannabisreporter.com/industrial-hemp-farming-act/">Legislation for a Healthy Nation: The Industrial Hemp Farming Act</a> appeared first on <a rel="nofollow" href="https://www.thecannabisreporter.com">The Cannabis Reporter</a>.</p> U.S. Congressman James Comer and Ananda Hemp's Brian Furnish discuss the new Industrial Hemp Farming Act introduced with bipartisan support. Snowden Bishop clean Hempsters Hit the Highway Toward a Carbon Neutral Future in the Renew Sports Car https://www.thecannabisreporter.com/hempsters-renew-sports-car/ Sun, 17 Sep 2017 02:23:53 +0000 https://thecannabisreporter.com/?p=46778 <p>Hempsters filmmaker Diana Oliver and Renew Sports Cars founder Bruce Dietzen talk about hemp driving a carbon-neutral future in Part 1 of 3 episodes on hemp</p> <p>The post <a rel="nofollow" href="https://www.thecannabisreporter.com/hempsters-renew-sports-car/">Hempsters Hit the Highway Toward a Carbon Neutral Future in the Renew Sports Car</a> appeared first on <a rel="nofollow" href="https://www.thecannabisreporter.com">The Cannabis Reporter</a>.</p> Hempsters filmmaker Diana Oliver and Renew Sports Cars founder Bruce Dietzen talk about hemp driving a carbon-neutral future in Part 1 of 3 episodes on hemp Snowden Bishop clean How to Set Precedents in Cannabis Law: Throw the Book at the DEA https://www.thecannabisreporter.com/cannabis-law-robert-hoban-interview/ Tue, 12 Sep 2017 14:09:01 +0000 https://thecannabisreporter.com/?p=46207 <p>Cannabis law attorney Robert Hoban tells us how he sued the DEA on behalf of the Hemp Industries Association and won the landmark case making CBD legal.</p> <p>The post <a rel="nofollow" href="https://www.thecannabisreporter.com/cannabis-law-robert-hoban-interview/">How to Set Precedents in Cannabis Law: Throw the Book at the DEA</a> appeared first on <a rel="nofollow" href="https://www.thecannabisreporter.com">The Cannabis Reporter</a>.</p> Cannabis law attorney Robert Hoban tells us how he sued the DEA on behalf of the Hemp Industries Association and won the landmark case making CBD legal. Snowden Bishop clean Meet the Author of the First Text Book on Marijuana Case Law https://www.thecannabisreporter.com/text-book-on-marijuana-case-law/ Fri, 08 Sep 2017 02:26:04 +0000 https://thecannabisreporter.com/?p=45806 <p>To kick off a series on cannabis law, we interview Vanderbilt University Professor Robert Mikos, author of the first text book on marijuana case law </p> <p>The post <a rel="nofollow" href="https://www.thecannabisreporter.com/text-book-on-marijuana-case-law/">Meet the Author of the First Text Book on Marijuana Case Law</a> appeared first on <a rel="nofollow" href="https://www.thecannabisreporter.com">The Cannabis Reporter</a>.</p> To kick off a series on cannabis law, we interview Vanderbilt University Professor Robert Mikos, author of the first text book on marijuana case law Snowden Bishop clean Beating Odds In the Las Vegas Recreational Marijuana Jackpot https://www.thecannabisreporter.com/las-vegas-recreational-marijuana-jackpot/ Tue, 22 Aug 2017 02:13:37 +0000 https://thecannabisreporter.com/?p=44104 <p>Interview with Priscilla Vilchis, the first and only female minority business owner winning licenses in Nevada just in time to cash in on the highly competitive Las Vegas recreational marijuana market.</p> <p>The post <a rel="nofollow" href="https://www.thecannabisreporter.com/las-vegas-recreational-marijuana-jackpot/">Beating Odds In the Las Vegas Recreational Marijuana Jackpot</a> appeared first on <a rel="nofollow" href="https://www.thecannabisreporter.com">The Cannabis Reporter</a>.</p> Interview with Priscilla Vilchis, the first and only female minority business owner winning licenses in Nevada just in time to cash in on the highly competitive Las Vegas recreational marijuana market. Snowden Bishop clean Ancient Wisdom Meets Western Medicine: Holistic Marijuana Cures https://www.thecannabisreporter.com/ancient-wisdom-western-medicine-marijuana-cures/ Mon, 07 Aug 2017 06:50:29 +0000 https://thecannabisreporter.com/?p=42534 <p>Interview with two physicians working with patients who are finding that marijuana cures some conditions that no other medicine has helped.</p> <p>The post <a rel="nofollow" href="https://www.thecannabisreporter.com/ancient-wisdom-western-medicine-marijuana-cures/">Ancient Wisdom Meets Western Medicine: Holistic Marijuana Cures</a> appeared first on <a rel="nofollow" href="https://www.thecannabisreporter.com">The Cannabis Reporter</a>.</p> Interview with two physicians working with patients who are finding that marijuana cures some conditions that no other medicine has helped. Snowden Bishop clean The Downside of Marijuana: Not Knowing All of The Upsides https://www.thecannabisreporter.com/downside-of-marijuana/ Tue, 18 Jul 2017 10:11:13 +0000 https://thecannabisreporter.com/?p=40138 <p>Formulation expert James Carberry and educator Sarara Corva give us a run-down on cannabinoids and a solution for those who think getting high is the downside of marijuana.</p> <p>The post <a rel="nofollow" href="https://www.thecannabisreporter.com/downside-of-marijuana/">The Downside of Marijuana: Not Knowing All of The Upsides</a> appeared first on <a rel="nofollow" href="https://www.thecannabisreporter.com">The Cannabis Reporter</a>.</p> Formulation expert James Carberry and educator Sarara Corva give us a run-down on cannabinoids and a solution for those who think getting high is the downside of marijuana. Snowden Bishop clean How the AMMA PAC Goes to Battle for Liberty & Justice For All https://www.thecannabisreporter.com/amma-pac-liberty-justice-az/ Wed, 05 Jul 2017 01:57:36 +0000 https://thecannabisreporter.com/?p=38145 <p>AMMA PAC lobbyist Taylor Swick explains challenges faced by patients, providers and industry stakeholders in Arizona and how medical marijuana advocates can get involved.</p> <p>The post <a rel="nofollow" href="https://www.thecannabisreporter.com/amma-pac-liberty-justice-az/">How the AMMA PAC Goes to Battle for Liberty & Justice For All</a> appeared first on <a rel="nofollow" href="https://www.thecannabisreporter.com">The Cannabis Reporter</a>.</p> AMMA PAC lobbyist Taylor Swick explains challenges faced by patients, providers and industry stakeholders in Arizona and how medical marijuana advocates can get involved. Snowden Bishop clean Global Impact: The Real Cost of Our Billion Dollar Drug War https://www.thecannabisreporter.com/global-cost-billion-dollar-drug-war/ Sat, 24 Jun 2017 21:44:56 +0000 https://thecannabisreporter.com/?p=31491 <p>Former Prosecutor, LEAP Board Member and international development specialist Inge Frykland knows the real cost of the drug war, at home and abroad. </p> <p>The post <a rel="nofollow" href="https://www.thecannabisreporter.com/global-cost-billion-dollar-drug-war/">Global Impact: The Real Cost of Our Billion Dollar Drug War</a> appeared first on <a rel="nofollow" href="https://www.thecannabisreporter.com">The Cannabis Reporter</a>.</p> Former Prosecutor, LEAP Board Member and international development specialist Inge Frykland knows the real cost of the drug war, at home and abroad. Snowden Bishop clean Next on the Agenda: Florida Cannabis Policy Unfolds Again https://www.thecannabisreporter.com/florida-cannabis-policy/ Sat, 10 Jun 2017 00:03:44 +0000 https://thecannabisreporter.com/?p=35063 <p>Interview with former prosecutor Demitri Downing about the regulatory framework of the most recent incarnation of Florida cannabis policy </p> <p>The post <a rel="nofollow" href="https://www.thecannabisreporter.com/florida-cannabis-policy/">Next on the Agenda: Florida Cannabis Policy Unfolds Again</a> appeared first on <a rel="nofollow" href="https://www.thecannabisreporter.com">The Cannabis Reporter</a>.</p> Interview with former prosecutor Demitri Downing about the regulatory framework of the most recent incarnation of Florida cannabis policy Snowden Bishop clean Leveling the Playing Field: NFL Champ Campaigns for Cannabis https://www.thecannabisreporter.com/champion-nfl-medical-marijuana-policy/ Thu, 01 Jun 2017 00:34:03 +0000 https://thecannabisreporter.com/?p=34160 <p>Former Super Bowl defensive end Marvin Washington returns to update his efforts to educate sports leaders and change NFL medical marijuana policy. </p> <p>The post <a rel="nofollow" href="https://www.thecannabisreporter.com/champion-nfl-medical-marijuana-policy/">Leveling the Playing Field: NFL Champ Campaigns for Cannabis</a> appeared first on <a rel="nofollow" href="https://www.thecannabisreporter.com">The Cannabis Reporter</a>.</p> Former Super Bowl defensive end Marvin Washington returns to update his efforts to educate sports leaders and change NFL medical marijuana policy. Snowden Bishop clean New Hope for Multiple Sclerosis: Cannabis Treatment Alternatives https://www.thecannabisreporter.com/multiple-sclerosis-cannabis/ Thu, 25 May 2017 23:28:29 +0000 https://thecannabisreporter.com/?p=33582 <p>Most people know at least one person with multiple sclerosis. Cannabis may provide MS patients with new hope, as Dr. George Anastassov explains.</p> <p>The post <a rel="nofollow" href="https://www.thecannabisreporter.com/multiple-sclerosis-cannabis/">New Hope for Multiple Sclerosis: Cannabis Treatment Alternatives</a> appeared first on <a rel="nofollow" href="https://www.thecannabisreporter.com">The Cannabis Reporter</a>.</p> Most people know at least one person with multiple sclerosis. Cannabis may provide MS patients with new hope, as Dr. George Anastassov explains. Snowden Bishop clean Combined Therapy for Cancer: Chemo, Cannabis & A Dose of Courage https://www.thecannabisreporter.com/cancer-chemo-cannabis/ Sat, 06 May 2017 02:03:23 +0000 https://thecannabisreporter.com/?p=32732 <p>Cannabis expert Mara Gordon explains why, combined with conventional cancer therapies like chemo, cannabis provides new hope for cancer patients.</p> <p>The post <a rel="nofollow" href="https://www.thecannabisreporter.com/cancer-chemo-cannabis/">Combined Therapy for Cancer: Chemo, Cannabis & A Dose of Courage</a> appeared first on <a rel="nofollow" href="https://www.thecannabisreporter.com">The Cannabis Reporter</a>.</p> Cannabis expert Mara Gordon explains why, combined with conventional cancer therapies like chemo, cannabis provides new hope for cancer patients. Snowden Bishop clean Down to Earth Medicine: Why Patients Should Demand Organically Grown Cannabis https://www.thecannabisreporter.com/organically-grown-cannabis/ Tue, 18 Apr 2017 09:34:48 +0000 https://thecannabisreporter.com/?p=31854 <p>In honor of Earth Day, we delve into best practices for organically grown cannabis. Amy Andrle explains why patients should demand it. </p> <p>The post <a rel="nofollow" href="https://www.thecannabisreporter.com/organically-grown-cannabis/">Down to Earth Medicine: Why Patients Should Demand Organically Grown Cannabis</a> appeared first on <a rel="nofollow" href="https://www.thecannabisreporter.com">The Cannabis Reporter</a>.</p> In honor of Earth Day, we delve into best practices for organically grown cannabis. Amy Andrle explains why patients should demand it. Snowden Bishop clean A New Era of Elder Care: Concierge Cannabis Doctors Make House Calls https://www.thecannabisreporter.com/concierge-cannabis-doctors/ Tue, 11 Apr 2017 11:51:29 +0000 https://thecannabisreporter.com/?p=31492 <p>Internal Medicine doctor, Nezar Dahdal, M.D. explains why he became a concierge cannabis doctor to certify critically ill patients for medical marijuana.</p> <p>The post <a rel="nofollow" href="https://www.thecannabisreporter.com/concierge-cannabis-doctors/">A New Era of Elder Care: Concierge Cannabis Doctors Make House Calls</a> appeared first on <a rel="nofollow" href="https://www.thecannabisreporter.com">The Cannabis Reporter</a>.</p> Internal Medicine doctor, Nezar Dahdal, M.D. explains why he became a concierge cannabis doctor to certify critically ill patients for medical marijuana. Snowden Bishop clean Unlocking the Mystery of Autism: Cannabis May Be the Key https://www.thecannabisreporter.com/unlocking-mystery-autism-cannabis-may-key/ Tue, 04 Apr 2017 06:36:24 +0000 https://thecannabisreporter.com/?p=31015 <p>Christian Bogner, M.D. explains why cannabis is necessary for treating autism. A mother of an autistic child has anecdotal evidence suggesting he's right. </p> <p>The post <a rel="nofollow" href="https://www.thecannabisreporter.com/unlocking-mystery-autism-cannabis-may-key/">Unlocking the Mystery of Autism: Cannabis May Be the Key</a> appeared first on <a rel="nofollow" href="https://www.thecannabisreporter.com">The Cannabis Reporter</a>.</p> Interview with Autism specialist Dr. Christian Bogner and Brandy Williams Snowden Bishop clean 46:59 Hemp: Harvesting the American Dream & A Carbon Neutral Future https://www.thecannabisreporter.com/hemp-harvesting-american-dream-carbon-neutral-future/ Mon, 27 Mar 2017 09:22:58 +0000 https://thecannabisreporter.com/?p=30399 <p>What do the world's first Bible, Old Glory, Ford's Model-T, the first Levis and your great-grannie's apple pie have in common? All were made of Hemp!</p> <p>The post <a rel="nofollow" href="https://www.thecannabisreporter.com/hemp-harvesting-american-dream-carbon-neutral-future/">Hemp: Harvesting the American Dream & A Carbon Neutral Future</a> appeared first on <a rel="nofollow" href="https://www.thecannabisreporter.com">The Cannabis Reporter</a>.</p> What do the world's first Bible, Old Glory, Ford's Model-T, the first Levis and your great-grannie's apple pie have in common? All were made of Hemp! Snowden Bishop clean Why Some Doctors Prefer Treating Pain With Medical Marijuana https://www.thecannabisreporter.com/doctors-prefer-treating-pain-with-medical-marijuana/ Mon, 20 Mar 2017 08:35:43 +0000 https://thecannabisreporter.com/?p=30208 <p>David Tonkin, M.D. explains why treating pain with medical marijuana not only alleviates pain, it also addresses underlying conditions that cause it.</p> <p>The post <a rel="nofollow" href="https://www.thecannabisreporter.com/doctors-prefer-treating-pain-with-medical-marijuana/">Why Some Doctors Prefer Treating Pain With Medical Marijuana</a> appeared first on <a rel="nofollow" href="https://www.thecannabisreporter.com">The Cannabis Reporter</a>.</p> David Tonkin, M.D. explains why treating pain with medical marijuana not only alleviates pain, it also addresses underlying conditions that cause it. Snowden Bishop clean Constitutional Question: Is Marijuana Prohibition Even Legal? https://www.thecannabisreporter.com/constitutional-question/ Thu, 09 Mar 2017 06:41:39 +0000 https://thecannabisreporter.com/?p=29384 <p>Exclusive interview with Robert Reed, U.S. Navy (Ret. ), who challenged the State of Arkansas with a Constitutional Question about federal marijuana law </p> <p>The post <a rel="nofollow" href="https://www.thecannabisreporter.com/constitutional-question/">Constitutional Question: Is Marijuana Prohibition Even Legal?</a> appeared first on <a rel="nofollow" href="https://www.thecannabisreporter.com">The Cannabis Reporter</a>.</p> Exclusive interview with Robert Reed, U.S. Navy (Ret. ), who challenged the State of Arkansas with a Constitutional Question about federal marijuana law Snowden Bishop clean Nature Vs. Nurture: Feeding the Human Endocannabinoid System https://www.thecannabisreporter.com/nature-nurture-endocannabinoid-system/ Mon, 06 Mar 2017 11:14:30 +0000 https://thecannabisreporter.com/?p=29152 <p>Cannabis nurses Heather Manus and Juhlzie Monteiro explain why, by nature, our endocannabinoid system actually needs to be nurtured with cannabis.</p> <p>The post <a rel="nofollow" href="https://www.thecannabisreporter.com/nature-nurture-endocannabinoid-system/">Nature Vs. Nurture: Feeding the Human Endocannabinoid System</a> appeared first on <a rel="nofollow" href="https://www.thecannabisreporter.com">The Cannabis Reporter</a>.</p> Cannabis nurses Heather Manus and Juhlzie Monteiro explain why, by nature, our endocannabinoid system actually needs to be nurtured with cannabis. Snowden Bishop clean Is Medical Marijuana Safer Than Tylenol & Other OTC Drugs? https://www.thecannabisreporter.com/is-medical-marijuana-safer-than-tylenol/ Thu, 23 Feb 2017 00:10:39 +0000 https://thecannabisreporter.com/?p=28418 <p>Two M.D.s discuss CME courses that help physicians understand cannabis. They also answer the question, "Is medical marijuana safer than Tylenol?" </p> <p>The post <a rel="nofollow" href="https://www.thecannabisreporter.com/is-medical-marijuana-safer-than-tylenol/">Is Medical Marijuana Safer Than Tylenol & Other OTC Drugs?</a> appeared first on <a rel="nofollow" href="https://www.thecannabisreporter.com">The Cannabis Reporter</a>.</p> Two M.D.s discuss CME courses that help physicians understand cannabis. They also answer the question, "Is medical marijuana safer than Tylenol?" Snowden Bishop clean Cannabis Treatment: A Holistic Approach to Addiction Recovery https://www.thecannabisreporter.com/cannabis-treatment-addiction-recovery/ Tue, 21 Feb 2017 14:07:07 +0000 https://thecannabisreporter.com/?p=28078 <p>Dr. Gina Berman and Lilach Mazor Power discuss their holistic approach toward helping patients recover from opiate addiction with cannabis treatment</p> <p>The post <a rel="nofollow" href="https://www.thecannabisreporter.com/cannabis-treatment-addiction-recovery/">Cannabis Treatment: A Holistic Approach to Addiction Recovery</a> appeared first on <a rel="nofollow" href="https://www.thecannabisreporter.com">The Cannabis Reporter</a>.</p> Dr. Gina Berman and Lilach Mazor Power discuss their holistic approach toward helping patients recover from opiate addiction with cannabis treatment Snowden Bishop clean Unified Cannabis Standards Come Into Global FOCUS https://www.thecannabisreporter.com/cannabis-standards-focus/ Fri, 10 Feb 2017 19:47:08 +0000 https://thecannabisreporter.com/?p=27007 <p>The importance of establishing unified cannabis standards can't be underestimated. Snowden Bishop interviews the founder of FOCUS, who is doing just that.</p> <p>The post <a rel="nofollow" href="https://www.thecannabisreporter.com/cannabis-standards-focus/">Unified Cannabis Standards Come Into Global FOCUS</a> appeared first on <a rel="nofollow" href="https://www.thecannabisreporter.com">The Cannabis Reporter</a>.</p> The importance of establishing unified cannabis standards can't be underestimated. Snowden Bishop interviews the founder of FOCUS, who is doing just that. Snowden Bishop clean Investing in the Future: The New Frontier of Cannabis Stocks https://www.thecannabisreporter.com/investing-cannabis-stocks/ Sat, 04 Feb 2017 03:14:29 +0000 https://thecannabisreporter.com/?p=26282 <p>Snowden Bishop interviews former Goldman Sachs banker, Hadley Ford, about cannabis stocks and investing in the big business of marijuana</p> <p>The post <a rel="nofollow" href="https://www.thecannabisreporter.com/investing-cannabis-stocks/">Investing in the Future: The New Frontier of Cannabis Stocks</a> appeared first on <a rel="nofollow" href="https://www.thecannabisreporter.com">The Cannabis Reporter</a>.</p> Snowden Bishop interviews former Goldman Sachs banker, Hadley Ford, about cannabis stocks and investing in the big business of marijuana Snowden Bishop clean 54:14 Appealing to a Higher Court: PTSD as a Qualifying Condition https://www.thecannabisreporter.com/ptsd-as-a-qualifying-condition/ Mon, 30 Jan 2017 08:53:04 +0000 https://thecannabisreporter.com/?p=25754 <p>Interview with Nurse Heather Manus and attorney Ken Sobel about suing the State of Arizona to add PTSD as a qualifying condition for medical marijuana. </p> <p>The post <a rel="nofollow" href="https://www.thecannabisreporter.com/ptsd-as-a-qualifying-condition/">Appealing to a Higher Court: PTSD as a Qualifying Condition</a> appeared first on <a rel="nofollow" href="https://www.thecannabisreporter.com">The Cannabis Reporter</a>.</p> Interview with Nurse Heather Manus and attorney Ken Sobel about suing the State of Arizona to add PTSD as a qualifying condition for medical marijuana. Snowden Bishop clean 59:52 Shifting a Paradigm: Is Cannabis Study Worthy of Academia? https://www.thecannabisreporter.com/cannabis-study-worthy-academia/ Sat, 21 Jan 2017 19:56:40 +0000 https://thecannabisreporter.com/?p=25527 <p>Interview with Dr. Sue Sisley and Dr. Bryan Doner, who have dedicated their careers advocating for more clinical cannabis study and education for medical practitioners.</p> <p>The post <a rel="nofollow" href="https://www.thecannabisreporter.com/cannabis-study-worthy-academia/">Shifting a Paradigm: Is Cannabis Study Worthy of Academia?</a> appeared first on <a rel="nofollow" href="https://www.thecannabisreporter.com">The Cannabis Reporter</a>.</p> Interview with Dr. Sue Sisley and Dr. Bryan Doner, who have dedicated their careers advocating for more clinical cannabis study and education for medical practitioners. Snowden Bishop clean 1:02:08 Compassionate Care Without Borders – CBD in Mexico & Brazil https://www.thecannabisreporter.com/dr-stuart-titus-cbd-in-mexico-brazil/ Mon, 16 Jan 2017 07:31:00 +0000 https://thecannabisreporter.com/?p=24990 <p>Interview with medical marijuana expert, Dr. Stuart Titus, who is pioneering efforts to help families of epileptic children access CBD in Mexico and Brazil</p> <p>The post <a rel="nofollow" href="https://www.thecannabisreporter.com/dr-stuart-titus-cbd-in-mexico-brazil/">Compassionate Care Without Borders – CBD in Mexico & Brazil</a> appeared first on <a rel="nofollow" href="https://www.thecannabisreporter.com">The Cannabis Reporter</a>.</p> Interview with medical marijuana expert, Dr. Stuart Titus, who is pioneering efforts to help families of epileptic children access CBD in Mexico and Brazil Snowden Bishop clean 51:22 Legal Fact Check: DEA, CBD & The ABC’s of Controlled Substances https://www.thecannabisreporter.com/dea-announcement-cbd/ Tue, 20 Dec 2016 01:14:18 +0000 https://thecannabisreporter.com/?p=23716 <p>Interview with a lawyer, a journalist and a parent on the media frenzy over the DEA announcement about CBD and Schedule 1 Controlled Substances</p> <p>The post <a rel="nofollow" href="https://www.thecannabisreporter.com/dea-announcement-cbd/">Legal Fact Check: DEA, CBD & The ABC’s of Controlled Substances</a> appeared first on <a rel="nofollow" href="https://www.thecannabisreporter.com">The Cannabis Reporter</a>.</p> Interview with a lawyer, a journalist and a parent on the media frenzy over the DEA announcement about CBD and Schedule 1 Controlled Substances Snowden Bishop clean 56:41 Election Aftermath: Is Marijuana Progress on Shaky Ground? https://www.thecannabisreporter.com/election-aftermath-marijuana-progress-shaky-ground/ Sat, 26 Nov 2016 00:32:27 +0000 https://thecannabisreporter.com/?p=22516 <p>Considering the anti-marijuana nominees for the President Elect's inbound cabinet, it seems marijuana progress is on shaky ground and in for a bumpy ride.</p> <p>The post <a rel="nofollow" href="https://www.thecannabisreporter.com/election-aftermath-marijuana-progress-shaky-ground/">Election Aftermath: Is Marijuana Progress on Shaky Ground?</a> appeared first on <a rel="nofollow" href="https://www.thecannabisreporter.com">The Cannabis Reporter</a>.</p> Considering the anti-marijuana nominees for the President Elect's inbound cabinet, it seems marijuana progress is on shaky ground and in for a bumpy ride. Snowden Bishop clean 56:15 Nothing But The Truth About Marijuana – 2016 Election Special https://www.thecannabisreporter.com/truth-marijuana-2016-election-special/ Mon, 07 Nov 2016 16:50:56 +0000 https://thecannabisreporter.com/?p=21638 <p>Just in time for the 2016 election, we rally cannabis media experts to debunk outrageous lies about marijuana in this special pre-election episode</p> <p>The post <a rel="nofollow" href="https://www.thecannabisreporter.com/truth-marijuana-2016-election-special/">Nothing But The Truth About Marijuana – 2016 Election Special</a> appeared first on <a rel="nofollow" href="https://www.thecannabisreporter.com">The Cannabis Reporter</a>.</p> Just in time for the 2016 election, we rally cannabis media experts to debunk outrageous lies about marijuana in this special pre-election episode Snowden Bishop clean 56:45 Hemp in High Places with A Conscientious Protestor https://www.thecannabisreporter.com/hemp-high-places/ Fri, 28 Oct 2016 00:00:09 +0000 https://thecannabisreporter.com/?p=21148 <p>Days away from the election, hemp and marijuana advocates are giddy with anticipation. While opponents of marijuana legalization are pulling out stops, David Bronner is upstaging them with a message of his own. </p> <p>The post <a rel="nofollow" href="https://www.thecannabisreporter.com/hemp-high-places/">Hemp in High Places with A Conscientious Protestor</a> appeared first on <a rel="nofollow" href="https://www.thecannabisreporter.com">The Cannabis Reporter</a>.</p> Days away from the election, hemp and marijuana advocates are giddy with anticipation. While opponents of marijuana legalization are pulling out stops, David Bronner is upstaging them with a message of his own. Snowden Bishop clean 55:48 Improving Patient Outcomes with Compassionate Care https://www.thecannabisreporter.com/improving-outcomes-compassionate-care/ Thu, 20 Oct 2016 01:49:48 +0000 https://thecannabisreporter.com/?p=20630 <p>Compassionate care is the subject of this episode and it's what guides the mission of our guests, nurses, educators and professionals who work in the medical field and specialize in therapeutic cannabis medicine.</p> <p>The post <a rel="nofollow" href="https://www.thecannabisreporter.com/improving-outcomes-compassionate-care/">Improving Patient Outcomes with Compassionate Care</a> appeared first on <a rel="nofollow" href="https://www.thecannabisreporter.com">The Cannabis Reporter</a>.</p> Compassionate care is the subject of this episode and it's what guides the mission of our guests, nurses, educators and professionals who work in the medical field and specialize in therapeutic cannabis medicine. Snowden Bishop clean 57:14 Introducing Medical Marijuana as a Medical Necessity https://www.thecannabisreporter.com/marijuana-medical-necessity/ Thu, 13 Oct 2016 19:57:13 +0000 http://thecannabisreporter.com/?p=20068 <p>E.R. physician, Dr. Bryan Doner, explains why he urges doctors to learn about cannabis as a necessary alternative treatment for patients.</p> <p>The post <a rel="nofollow" href="https://www.thecannabisreporter.com/marijuana-medical-necessity/">Introducing Medical Marijuana as a Medical Necessity</a> appeared first on <a rel="nofollow" href="https://www.thecannabisreporter.com">The Cannabis Reporter</a>.</p> E.R. physician, Dr. Bryan Doner, explains why he urges doctors to learn about cannabis as a necessary alternative treatment for patients. Snowden Bishop clean 51:34 Education & Inspiration for the Cannabis Future https://www.thecannabisreporter.com/education-inspiration-cannabis-conference/ Tue, 11 Oct 2016 08:08:15 +0000 http://thecannabisreporter.com/?p=19859 <p>A former prosecutor, NFL champ, cultivator and canna-media expert discuss the Southwest Cannabis Conference & Expo and benefits of Prop 205</p> <p>The post <a rel="nofollow" href="https://www.thecannabisreporter.com/education-inspiration-cannabis-conference/">Education & Inspiration for the Cannabis Future</a> appeared first on <a rel="nofollow" href="https://www.thecannabisreporter.com">The Cannabis Reporter</a>.</p> A former prosecutor, NFL champ, cultivator and canna-media expert discuss the Southwest Cannabis Conference & Expo and benefits of Prop 205 Snowden Bishop clean 56:38 Black Sheep, A Purple Heart & Courage to Thrive https://www.thecannabisreporter.com/black-sheep-purple-heart-courage-thrive/ Fri, 07 Oct 2016 18:55:25 +0000 http://thecannabisreporter.com/?p=19760 <p>A cannabis healer and Purple Heart recipient discuss overcoming PTSD and other demons of war with medical marijuana and helping other veterans cope</p> <p>The post <a rel="nofollow" href="https://www.thecannabisreporter.com/black-sheep-purple-heart-courage-thrive/">Black Sheep, A Purple Heart & Courage to Thrive</a> appeared first on <a rel="nofollow" href="https://www.thecannabisreporter.com">The Cannabis Reporter</a>.</p> A cannabis healer and Purple Heart recipient discuss overcoming PTSD and other demons of war with medical marijuana and helping other veterans cope Snowden Bishop clean 55:54 Fighting PTSD and Combat Wounds with a Double-Edged Sword https://www.thecannabisreporter.com/fighting-ptsd-double-edged-sword/ Wed, 28 Sep 2016 14:27:01 +0000 http://thecannabisreporter.com/?p=19022 <p>A Gulf War veteran explains why he fights for our freedom to treat PTSD and other battle wounds with cannabis and why the V.A. needs to pay attention.</p> <p>The post <a rel="nofollow" href="https://www.thecannabisreporter.com/fighting-ptsd-double-edged-sword/">Fighting PTSD and Combat Wounds with a Double-Edged Sword</a> appeared first on <a rel="nofollow" href="https://www.thecannabisreporter.com">The Cannabis Reporter</a>.</p> A Gulf War veteran explains why he fights for our freedom to treat PTSD and other battle wounds with cannabis and why the V.A. needs to pay attention. Snowden Bishop clean 46:56 Look Who’s Waging War Against The War On Drugs https://www.thecannabisreporter.com/waging-war-against-war-on-drugs/ Wed, 21 Sep 2016 20:13:11 +0000 http://thecannabisreporter.com/?p=18468 <p>Retired DEA Special Agent explains why ending the War On Drugs will benefit society and how Law Enforcement Against Prohibition (LEAP) is leading the charge</p> <p>The post <a rel="nofollow" href="https://www.thecannabisreporter.com/waging-war-against-war-on-drugs/">Look Who’s Waging War Against The War On Drugs</a> appeared first on <a rel="nofollow" href="https://www.thecannabisreporter.com">The Cannabis Reporter</a>.</p> Retired DEA Special Agent explains why ending the War On Drugs will benefit society and how Law Enforcement Against Prohibition (LEAP) is leading the charge Snowden Bishop clean 55:16 Isn’t It High Time We Regulate Marijuana Like Alcohol? https://www.thecannabisreporter.com/isnt-high-time-regulate-marijuana-like-alcohol/ Thu, 15 Sep 2016 23:51:54 +0000 http://thecannabisreporter.com/?p=18371 <p>Host Snowden Bishop and TCR's Nate Nichols catch up with MPP's Carlos Alfaro about Arizona's Prop 205, the Regulate Marijuana Like Alcohol ballot measure. </p> <p>The post <a rel="nofollow" href="https://www.thecannabisreporter.com/isnt-high-time-regulate-marijuana-like-alcohol/">Isn’t It High Time We Regulate Marijuana Like Alcohol?</a> appeared first on <a rel="nofollow" href="https://www.thecannabisreporter.com">The Cannabis Reporter</a>.</p> Host Snowden Bishop and TCR's Nate Nichols catch up with MPP's Carlos Alfaro about Arizona's Prop 205, the Regulate Marijuana Like Alcohol ballot measure. Snowden Bishop clean 54:03 The Cannabis Movement & Newton’s Third Law of Motion https://www.thecannabisreporter.com/cannabis-movement-newtons-law-motion/ Thu, 08 Sep 2016 22:01:40 +0000 http://thecannabisreporter.com/?p=18119 <p>Former prosecutor, cannabis advocate, philanthropist and lobbyist, Demitri Downing pairs up with WeediaBuzz founder and TV host John Hartsell on the cannabis movement. </p> <p>The post <a rel="nofollow" href="https://www.thecannabisreporter.com/cannabis-movement-newtons-law-motion/">The Cannabis Movement & Newton’s Third Law of Motion</a> appeared first on <a rel="nofollow" href="https://www.thecannabisreporter.com">The Cannabis Reporter</a>.</p> Former prosecutor, cannabis advocate, philanthropist and lobbyist, Demitri Downing pairs up with WeediaBuzz founder and TV host John Hartsell on the cannabis movement. Snowden Bishop clean 56:50 Testing, Testing, 123 – Cannabis Science Sets Higher Standards https://www.thecannabisreporter.com/testing-testing-123-cannabis-science/ Sun, 04 Sep 2016 05:53:25 +0000 http://thecannabisreporter.com/?p=17505 <p>In this episode, we delve into the relatively new field of cannabis science with Dr. Zachariah Hildenbrand and Ryan Treacy from C4 Laboratories.</p> <p>The post <a rel="nofollow" href="https://www.thecannabisreporter.com/testing-testing-123-cannabis-science/">Testing, Testing, 123 – Cannabis Science Sets Higher Standards</a> appeared first on <a rel="nofollow" href="https://www.thecannabisreporter.com">The Cannabis Reporter</a>.</p> In this episode, we delve into the relatively new field of cannabis science with Dr. Zachariah Hildenbrand and Ryan Treacy from C4 Laboratories. Snowden Bishop clean 56:00 Making In-Roads without Road Blocks in The Cannabis Industry https://www.thecannabisreporter.com/in-roads-in-the-cannabis-industry/ Thu, 25 Aug 2016 22:27:19 +0000 http://thecannabisreporter.com/?p=17388 <p>In this week's interview, cannabis attorney, Laura Bianchi tells host Snowden Bishop how cannabis industry entrepreneurs make in-roads without road blocks and other barriers.</p> <p>The post <a rel="nofollow" href="https://www.thecannabisreporter.com/in-roads-in-the-cannabis-industry/">Making In-Roads without Road Blocks in The Cannabis Industry</a> appeared first on <a rel="nofollow" href="https://www.thecannabisreporter.com">The Cannabis Reporter</a>.</p> In this week's interview, cannabis attorney, Laura Bianchi tells host Snowden Bishop how cannabis industry entrepreneurs make in-roads without road blocks and other barriers. Snowden Bishop clean 53:47 A Pain Doctor & NFL Champ Tackle the Topic of Opioid Addiction https://www.thecannabisreporter.com/a-pain-doctor-nfl-champ-tackle-the-topic-of-opioid-addiction/ Fri, 05 Aug 2016 00:20:26 +0000 http://thecannabisreporter.com/?p=15975 <p>Interview with NFL veteran Marvin Washington and renowned pain specialist Dr. David Tonkins about opioid addiction in the NFL </p> <p>The post <a rel="nofollow" href="https://www.thecannabisreporter.com/a-pain-doctor-nfl-champ-tackle-the-topic-of-opioid-addiction/">A Pain Doctor & NFL Champ Tackle the Topic of Opioid Addiction</a> appeared first on <a rel="nofollow" href="https://www.thecannabisreporter.com">The Cannabis Reporter</a>.</p> Interview with NFL veteran Marvin Washington and renowned pain specialist Dr. David Tonkins about opioid addiction in the NFL Snowden Bishop clean 49:27 Keeping Patients In Good Hands: Educating Dispensary Personnel https://www.thecannabisreporter.com/keeping-patients-good-hands-educating-dispensary-personnel/ Sat, 30 Jul 2016 00:00:18 +0000 http://thecannabisreporter.com/?p=15735 <p>Snowden Bishop interviews entrepreneurs Nadeem Al-Hasan and Thomas Rimbach and educator Evan Ericsson about educating dispensary personnel.</p> <p>The post <a rel="nofollow" href="https://www.thecannabisreporter.com/keeping-patients-good-hands-educating-dispensary-personnel/">Keeping Patients In Good Hands: Educating Dispensary Personnel</a> appeared first on <a rel="nofollow" href="https://www.thecannabisreporter.com">The Cannabis Reporter</a>.</p> Snowden Bishop interviews entrepreneurs Nadeem Al-Hasan and Thomas Rimbach and educator Evan Ericsson about educating dispensary personnel. Snowden Bishop clean 57:31 Cannabis for Canines Part II: A New Leash On Life for Pets https://www.thecannabisreporter.com/cannabis-canines-part-ii-new-leash-life-mans-best-friend/ Thu, 21 Jul 2016 18:18:02 +0000 http://thecannabisreporter.com/?p=14902 <p>Interview with Dr. Katz and his a scientific A-Team developing accelerant technology which expedites THC delivery.</p> <p>The post <a rel="nofollow" href="https://www.thecannabisreporter.com/cannabis-canines-part-ii-new-leash-life-mans-best-friend/">Cannabis for Canines Part II: A New Leash On Life for Pets</a> appeared first on <a rel="nofollow" href="https://www.thecannabisreporter.com">The Cannabis Reporter</a>.</p> Interview with Dr. Katz and his a scientific A-Team developing accelerant technology which expedites THC delivery. Episode I, you’ll recall listening to NY State Assemblyman and veterinarian Dr. Stephen Katz talk about hemp-derived CBD medication for canines. Last week, Chef Payton Curry spoke with me about edibles, and challenges new patients have getting the dosage right. Since edible medicine is absorbed through digestion, it can take up to an hour to feel the full effect. As he explained, those who aren’t familiar with the delay may think it’s not working and take more… If the medication is high in THC, that can lead to a rather intense euphoric experience, which may be a good thing for those who like the euphoria. But for those who don’t enjoy getting high – or for those who need to function during the day – it can be an uncomfortable problem. In case you’re wondering what delayed effect of edible medicinals for humans has to do with veterinary formulas for dogs, there is a correlation. In today’s interview, Dr. Katz has returned for a follow up interview and brought his scientific A-Team, Tony Alfiere, a self-educated scientist, and Dr. Jim Sharkey, who are currently working with Dr. Katz to develop the next generation of Therabis – therapeutic cannabis for canines. They are using new medical accelerant technology invented by Alfiere to expedite absorption and delivery of THC in edibles and elixers, which solves the problem of delayed effectiveness common in edibles. Dr. Jim Sharkey is the Chief Science Officer at Therabis working with Alfiere to apply that technology to therapeutic CBD formulas for dogs and cats. We hope you enjoy Cannabis for Canines Part II: A New Leash On Life for Man’s Best Friend! ]]> Snowden Bishop clean 57:55 Celebrity Chef Curry On Cooking Cannabis In Your Kitchen https://www.thecannabisreporter.com/14274-2/ Wed, 13 Jul 2016 11:53:49 +0000 http://thecannabisreporter.com/?p=14274 <p>Host Snowden Bishop interviews celebrity Chef Payton Curry about the benefits of medicinal marijuana edibles.</p> <p>The post <a rel="nofollow" href="https://www.thecannabisreporter.com/14274-2/">Celebrity Chef Curry On Cooking Cannabis In Your Kitchen</a> appeared first on <a rel="nofollow" href="https://www.thecannabisreporter.com">The Cannabis Reporter</a>.</p> Host Snowden Bishop interviews celebrity Chef Payton Curry about the benefits of medicinal marijuana edibles. J.P. Holyoak, the Chairman of the Arizona Campaign to Regulate Marijuana Like Alcohol, I was surprised to learn he is a conservative dad who never smoked pot and throughout most of his adulthood he was skeptical about the merits of cannabis. Of course, that changed when he learned how medical marijuana could help his young daughter who suffered from a severe seizure disorder. Even though he’s now an expert, he once had to overcome a learning curve. Through trial and error and listening to experts, he found the best formulations, dosing and methods of medicating his daughter. He acknowledged that cooking cannabis edibles takes some education. There are a lot of people out there like J.P. who learn to appreciate the incredible healing benefits of marijuana. New patients and parents must also learn the best way to use it. Learning how to smoke it is easy. Chances are that, on any given city block, they can find a neighbor who would be happy to share their knowledge. For patients who don’t like smoking marijuana, or parents who don’t want their children smoking medicine, a little investigation will help them find other simple ways to medicate: vaping pens, tinctures, oils, wax, salves and, perhaps the most enjoyable, edibles! Unfortunately, high-quality and properly measured edibles are expensive and hard to find, and if you aren’t familiar with dosing, they can be hard to manage. Making marijuana edibles at home can save money, but the nuances of cooking cannabis take education. That’s something my guest today, Chef Payton Curry knows a lot about. He owns a popular eatery in Scottsdale, Arizona and is in the process of opening a commercial kitchen to supply edibles to dispensaries. With a burning desire to help children, their parents and patients learn to get the most out of medicinal marijuana, he moonlights as a cannabis chef teaching people how to prepare medicated food with whole plant cannabis and calculate proper dosing in their recipes. We aren’t just talking pot brownies here. Chef Curry is cooking cannabis with whole grains, organic vegetables, oils and veggies well as vegan and gluten free edibles. With recipes for “MunchEase” like Crepes of Wrath, Am I There Yet, Baked with Kine-Ness, Yummus and Mary-Nara Sauce he has a wonderful way of making medicinal food fun to prepare and eat. I hope you enjoy Chef Curry On Cooking Cannabis in Your Kitchen!